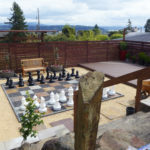 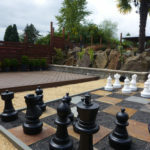 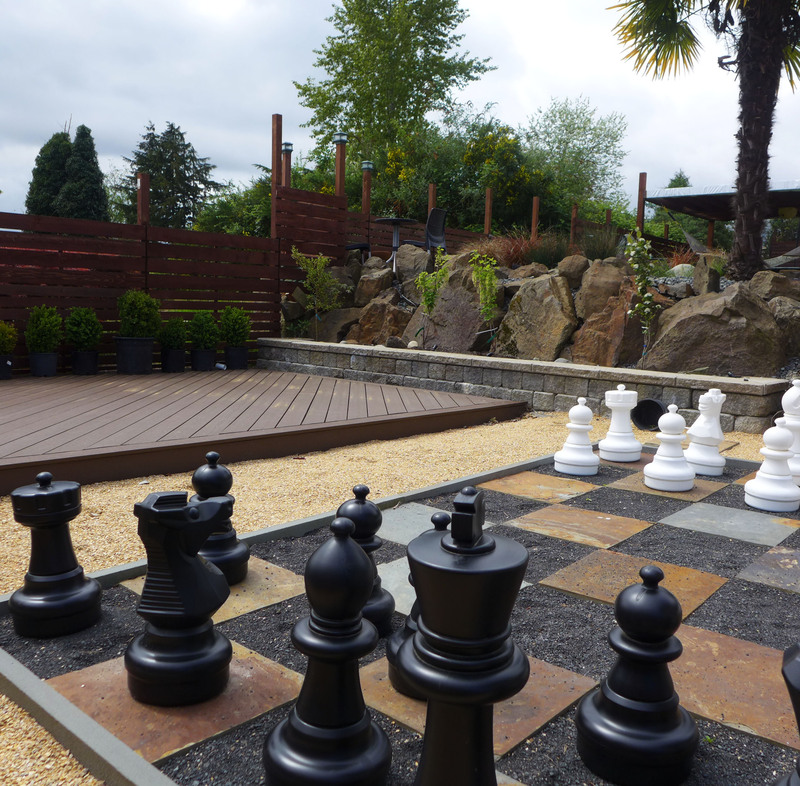 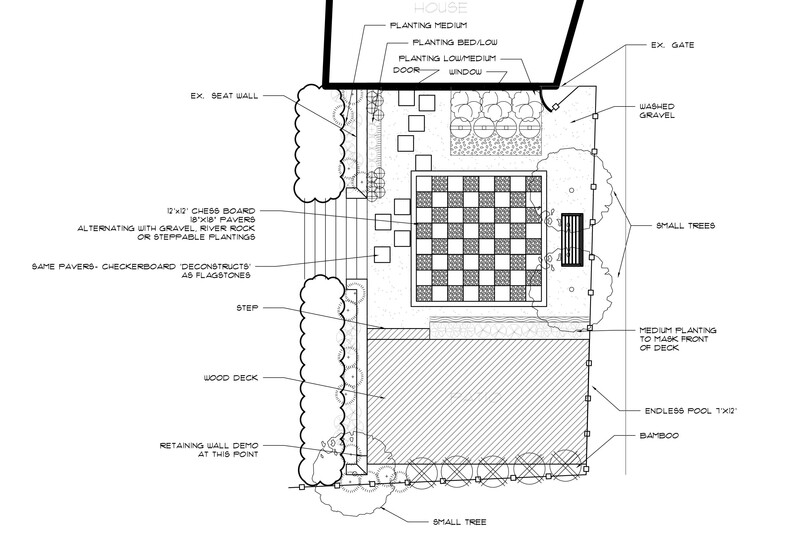 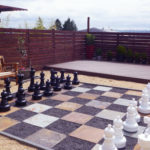 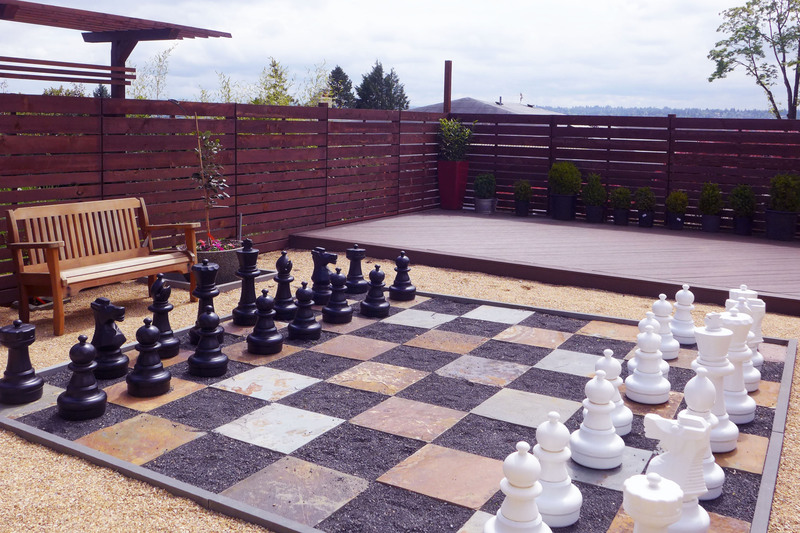 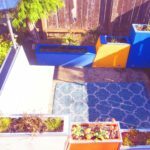 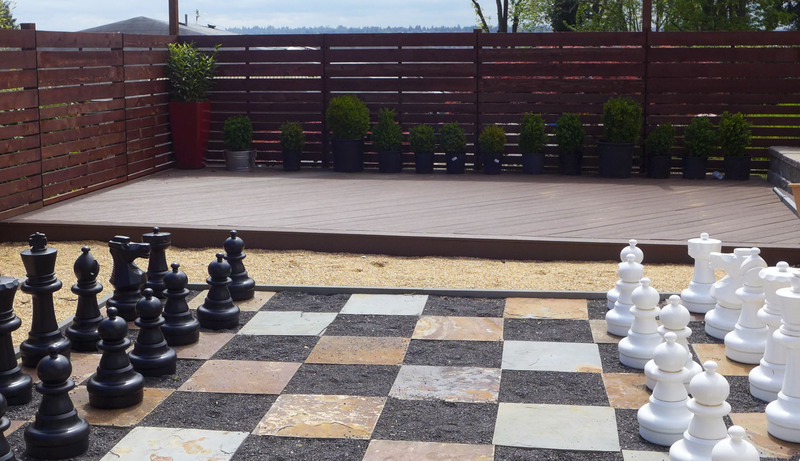 An unused lower level of the backyard was transformed into a playful garden with a giant chess set as its centerpiece. 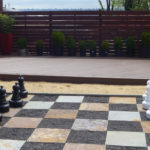 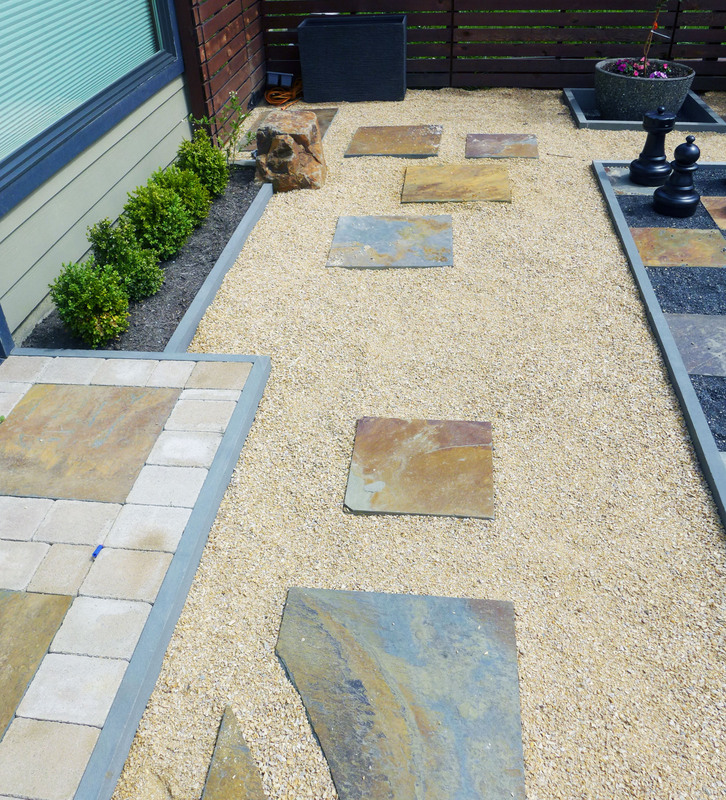 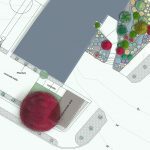 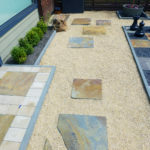 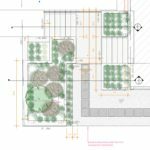 Stone work and gravel work together to define spaces and create an artful dialectic between the linearity of the chess grid and the spontaneity of the pavers outside it. 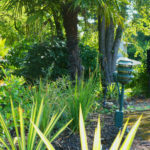 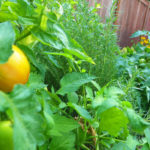 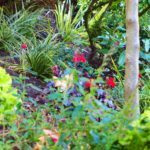 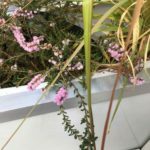 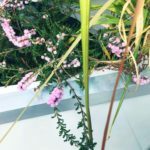 Planting is formal but interspersed with fruit tree saplings to create a landscape that is both attractive and productive. 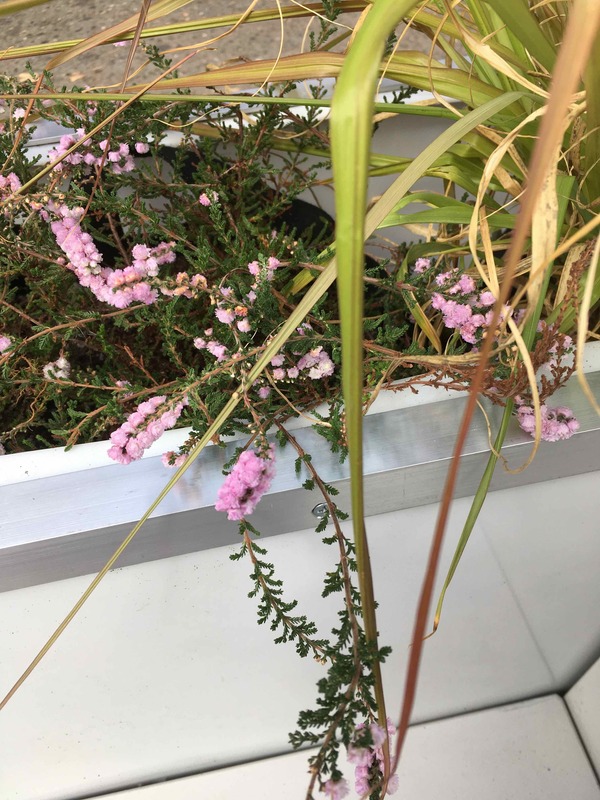 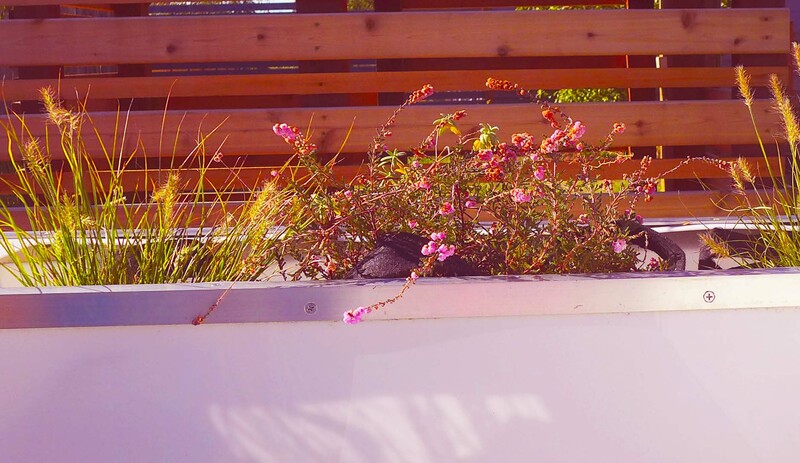 Installed Spring 2018. 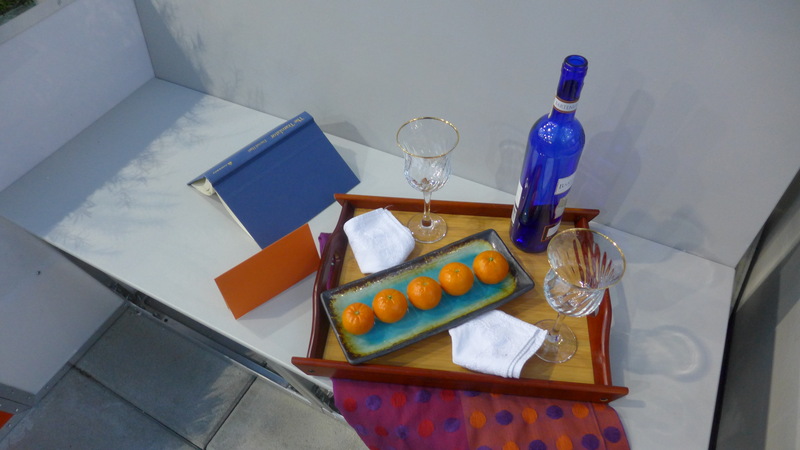 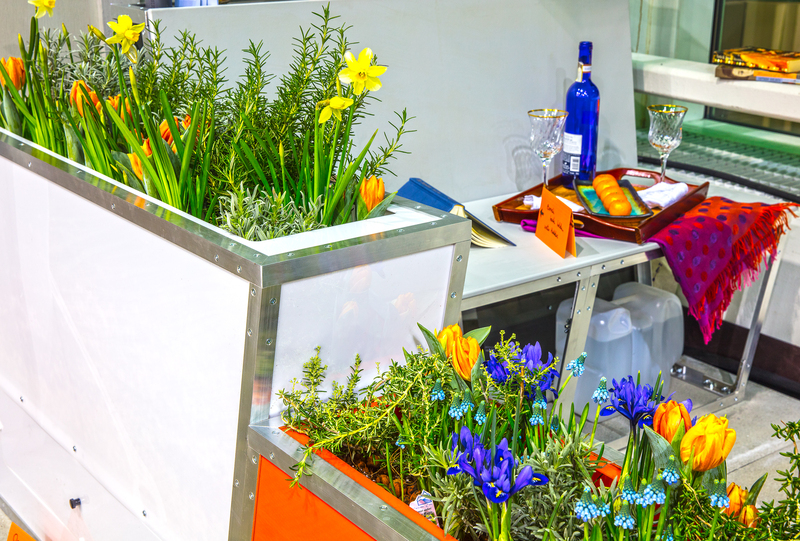 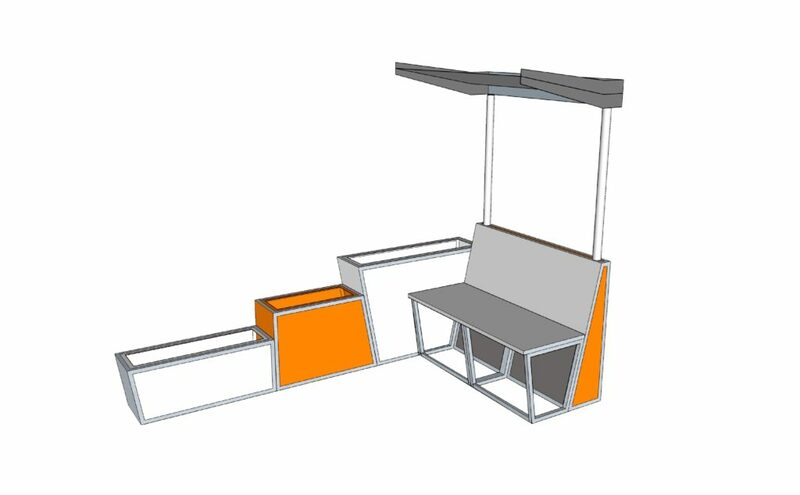 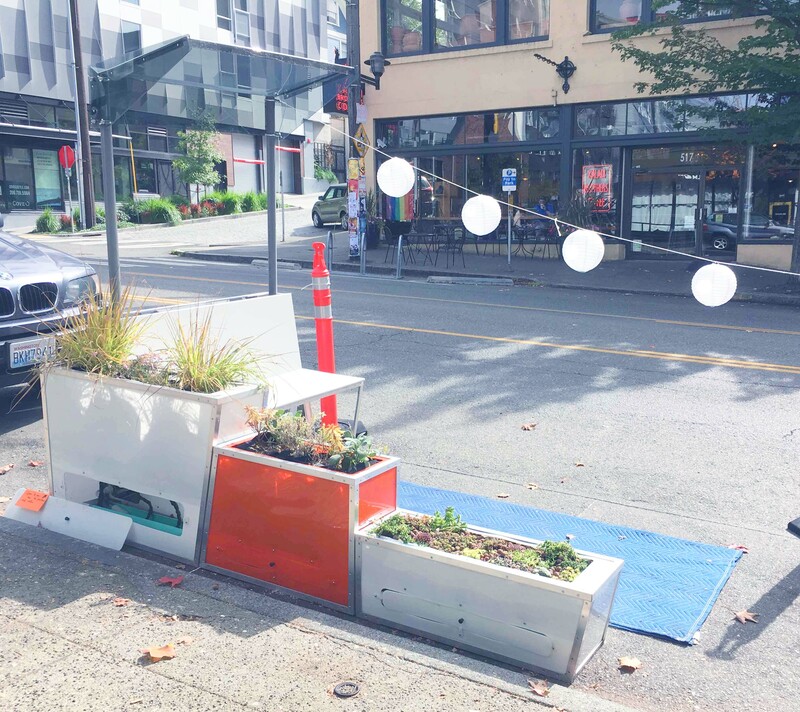 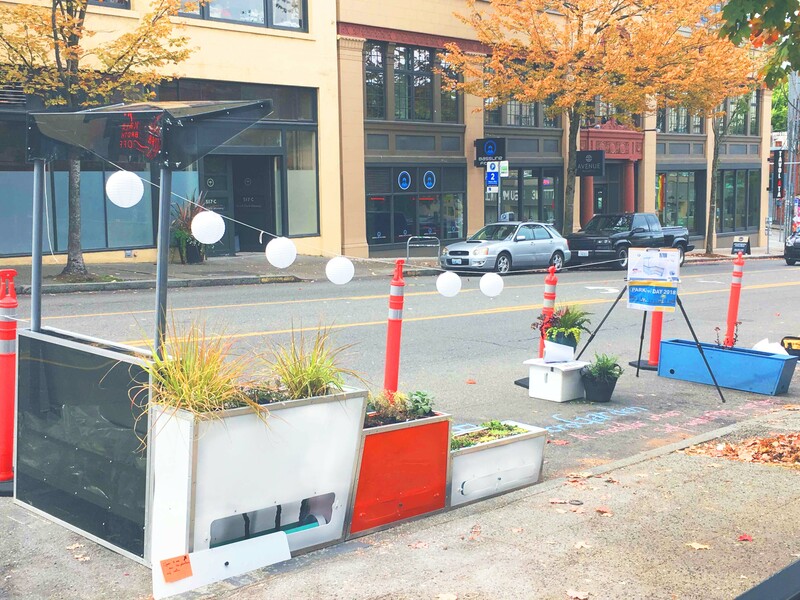 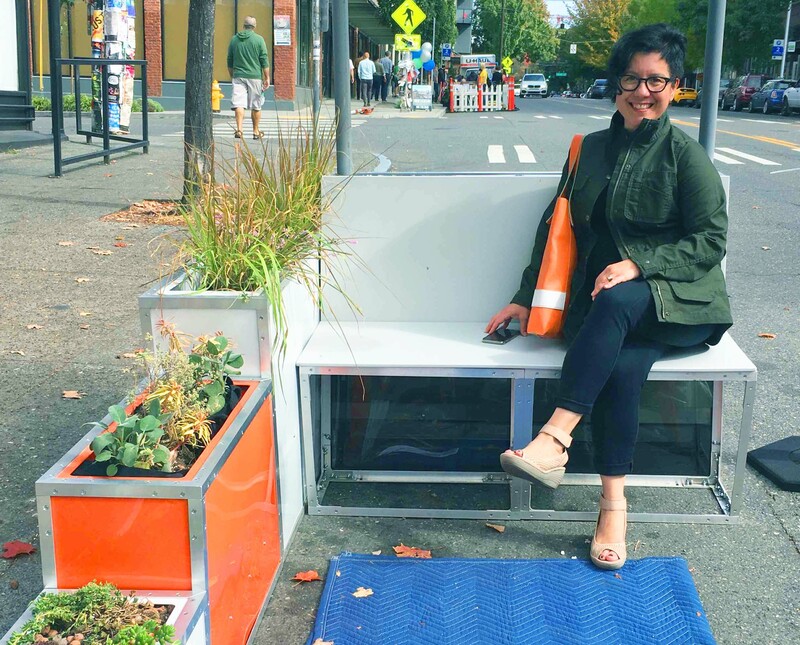 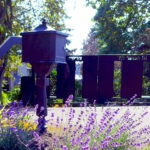 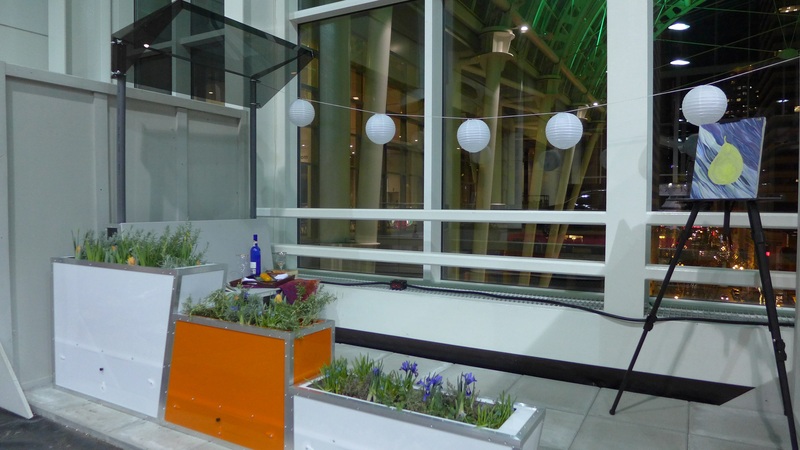 Prototype was recently featured in the Northwest Flower and Garden Show Urban Living Exhibit. 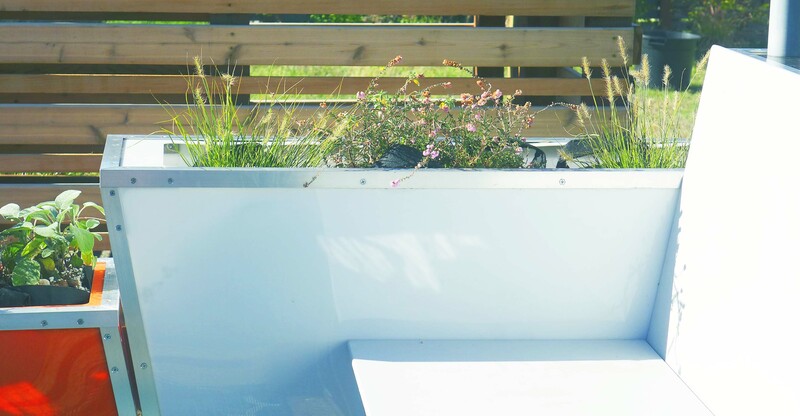 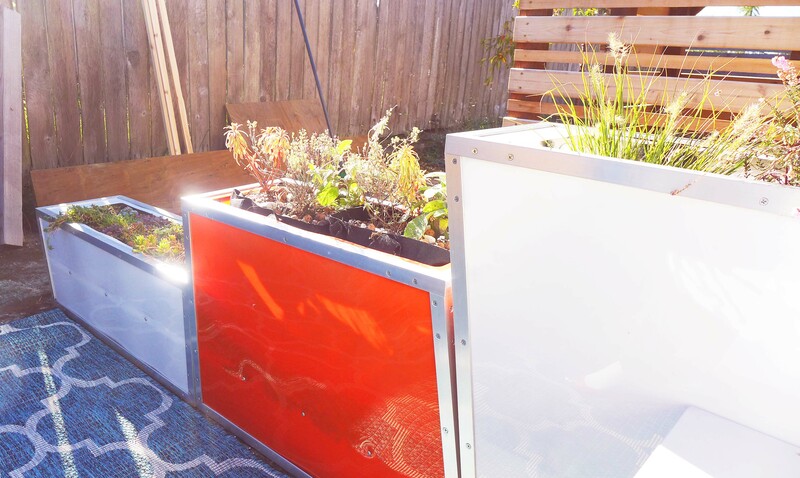 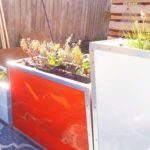 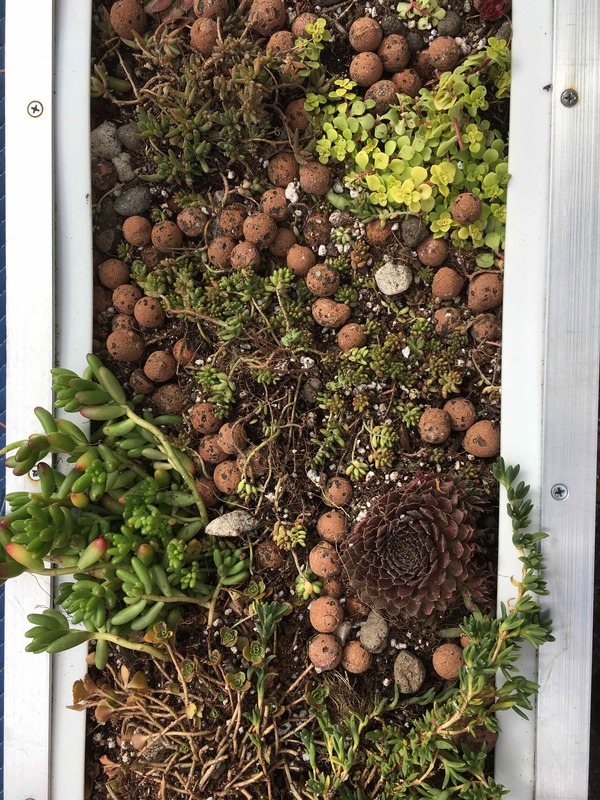 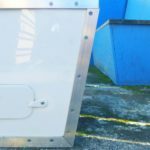 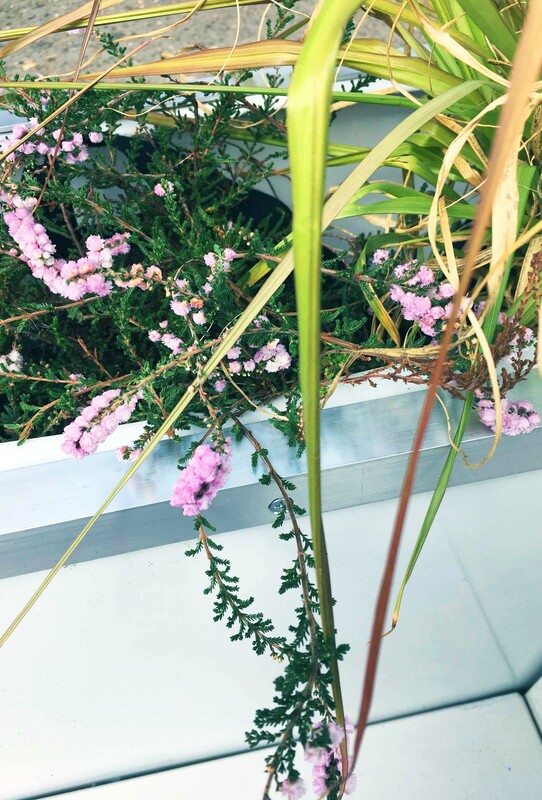 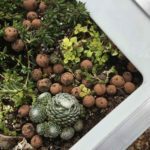 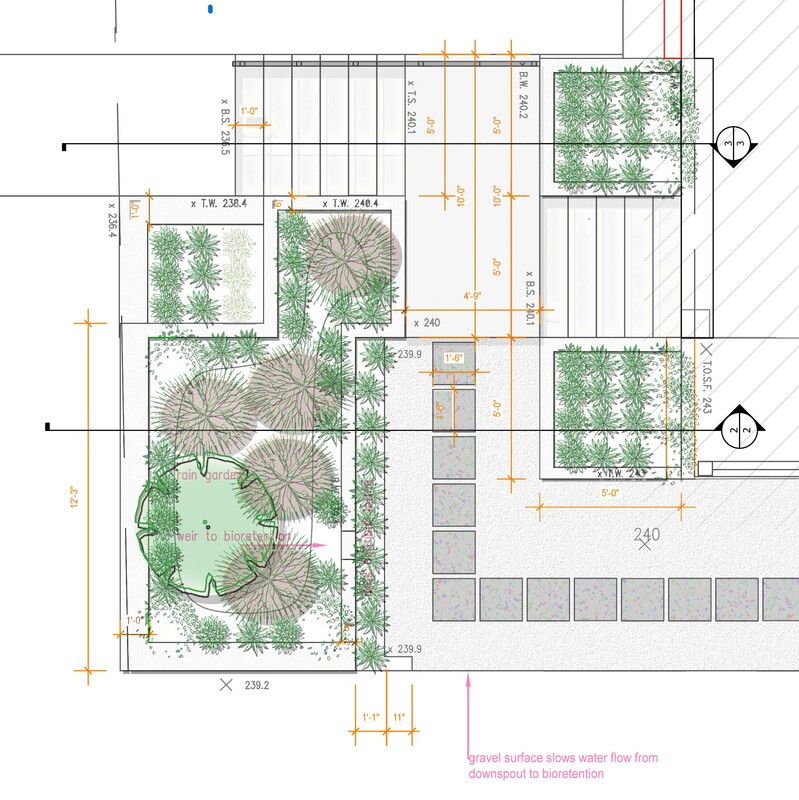 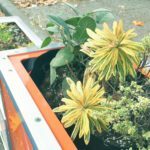 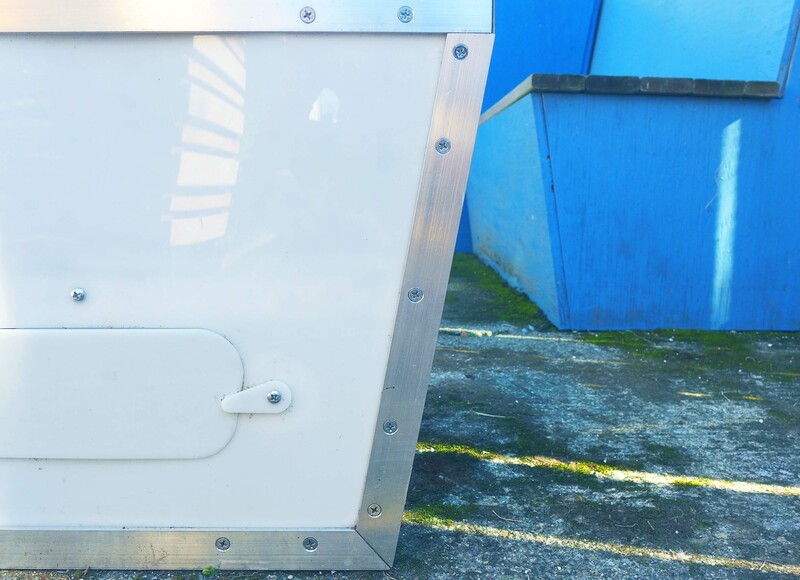 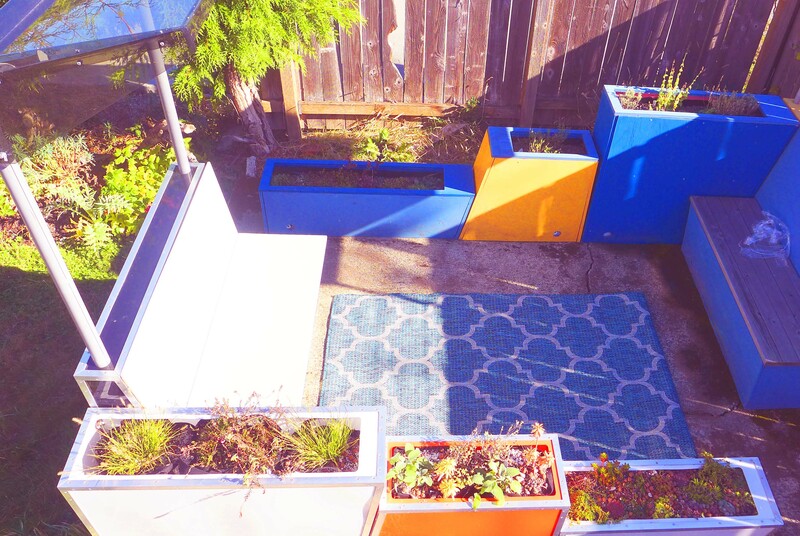 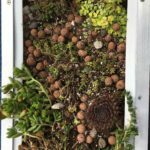 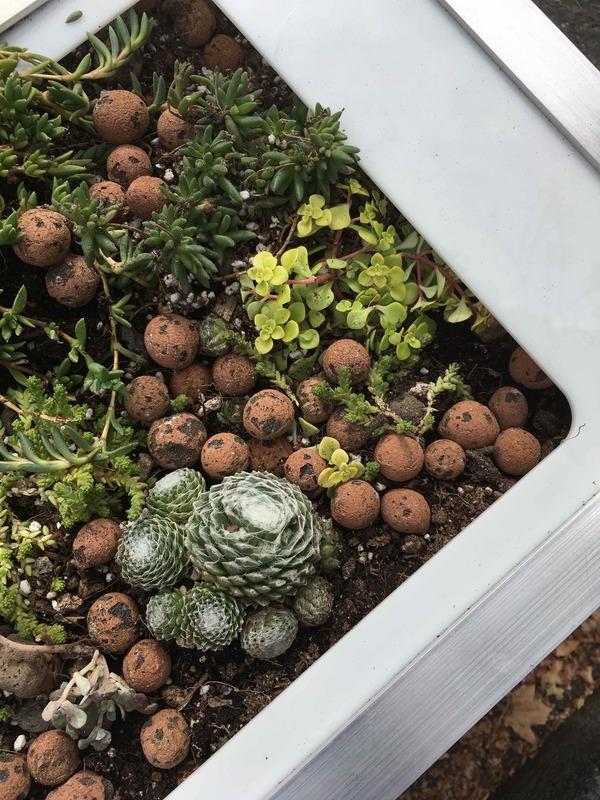 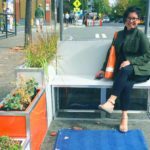 Patent pending modular garden collects rainwater, stores it, and delivers it to plants. 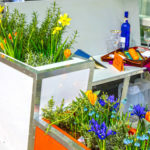 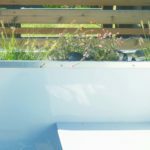 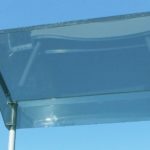 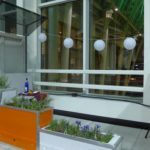 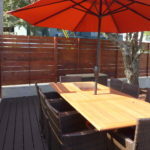 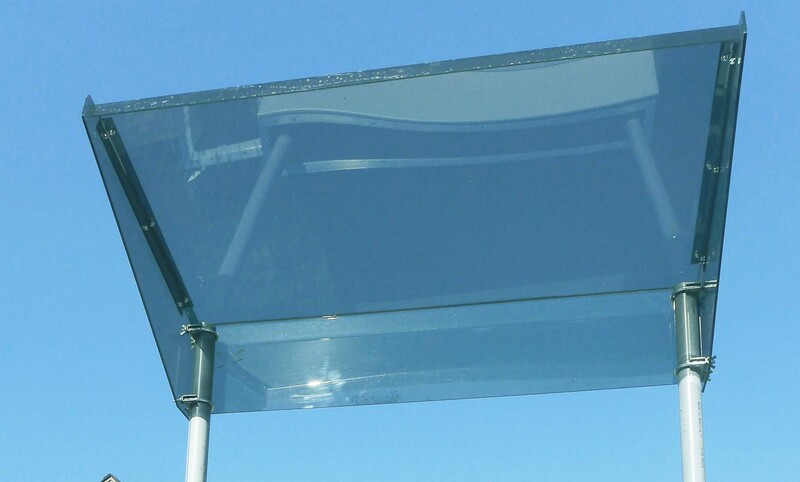 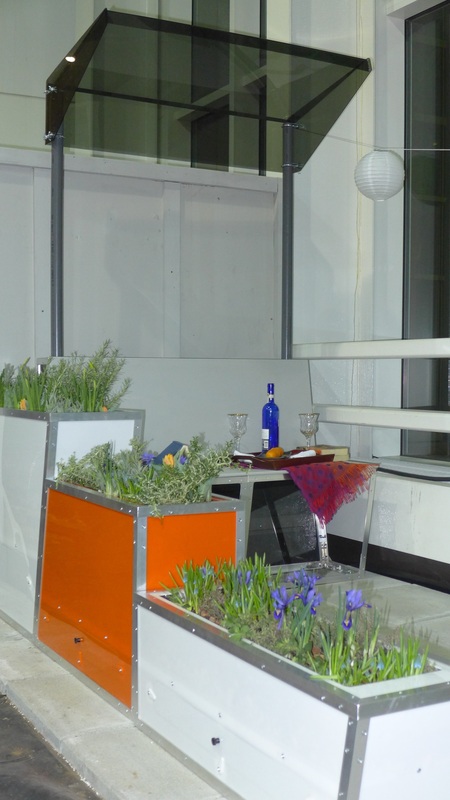 Made of acrylic and aluminum, it is lightweight and modern and fits well into a patio or balcony setting. 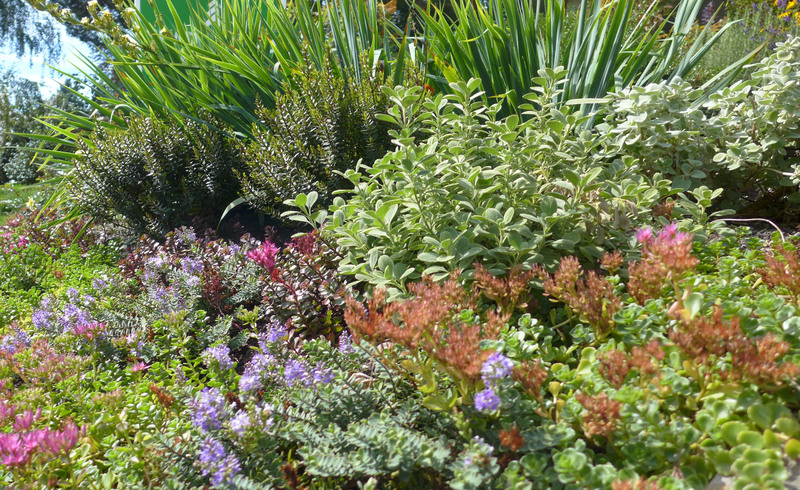 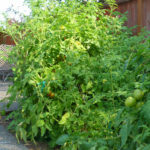 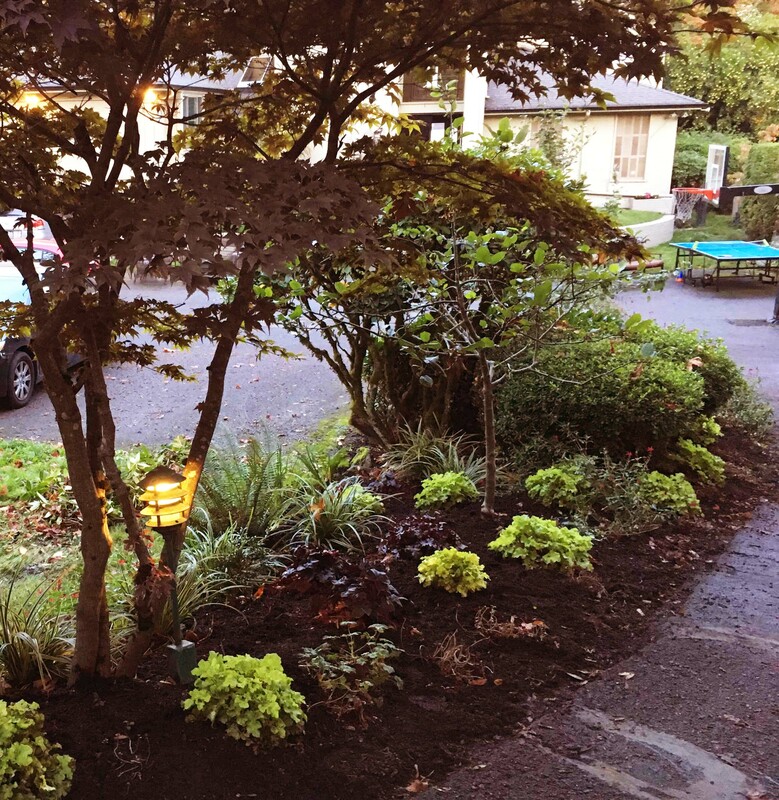 Overgrown planting replaced with a textured combination of evergreen shrubs, perennials, herbs and vegetables. 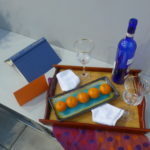 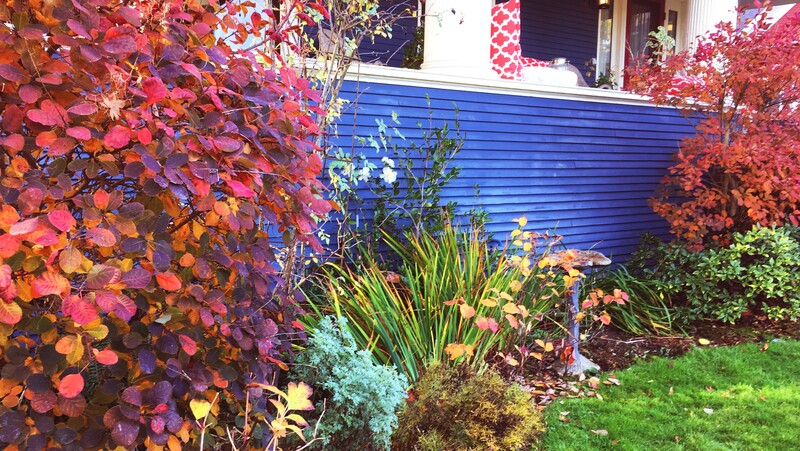 An emphasis on color and year round interest. 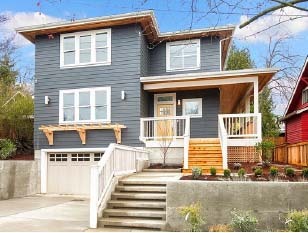 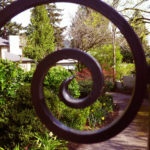 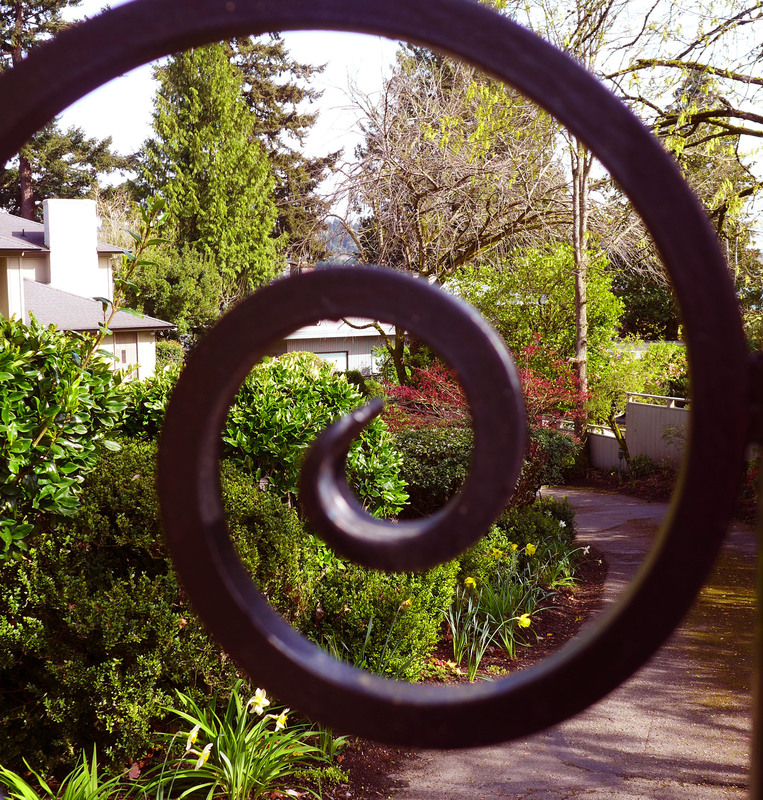 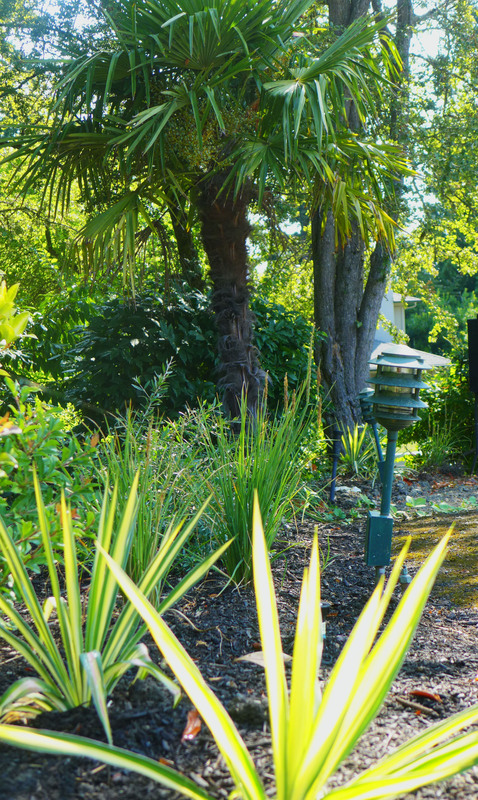 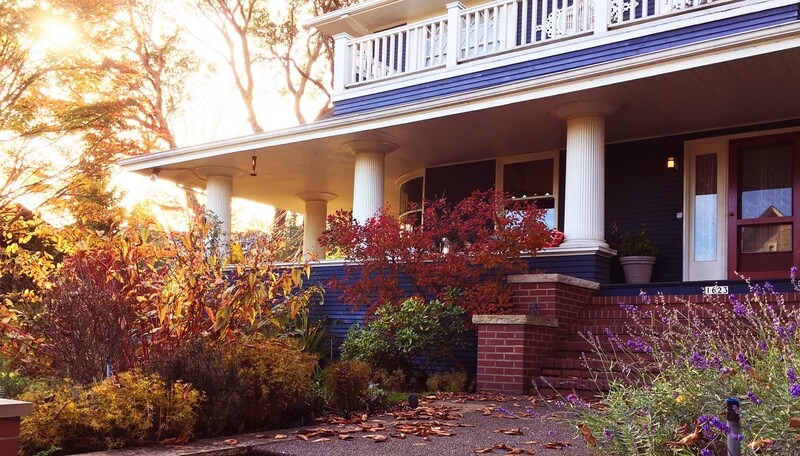 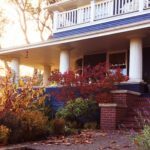 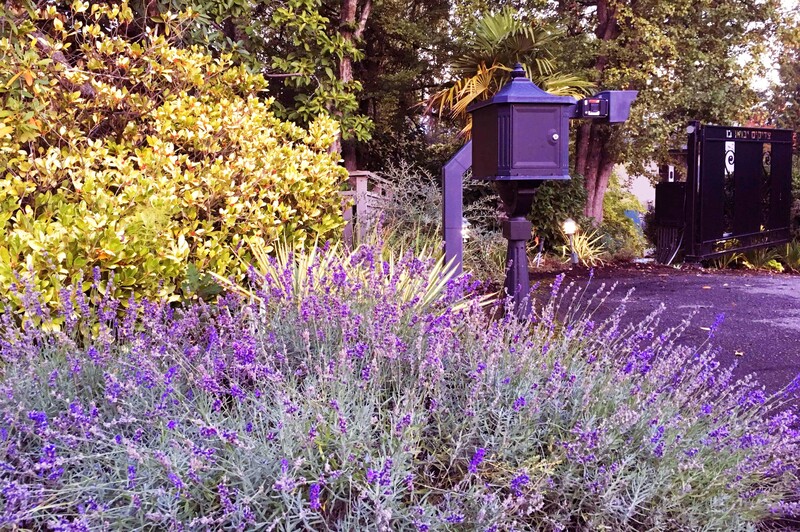 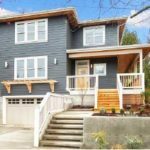 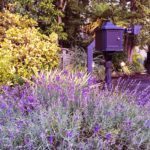 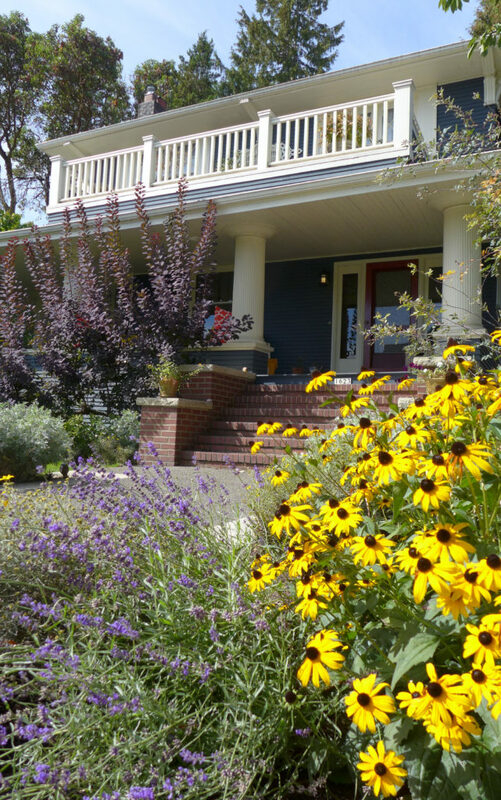 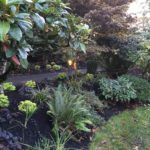 This project was a major redesign of a mature front yard. 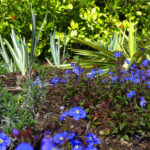 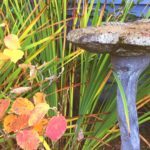 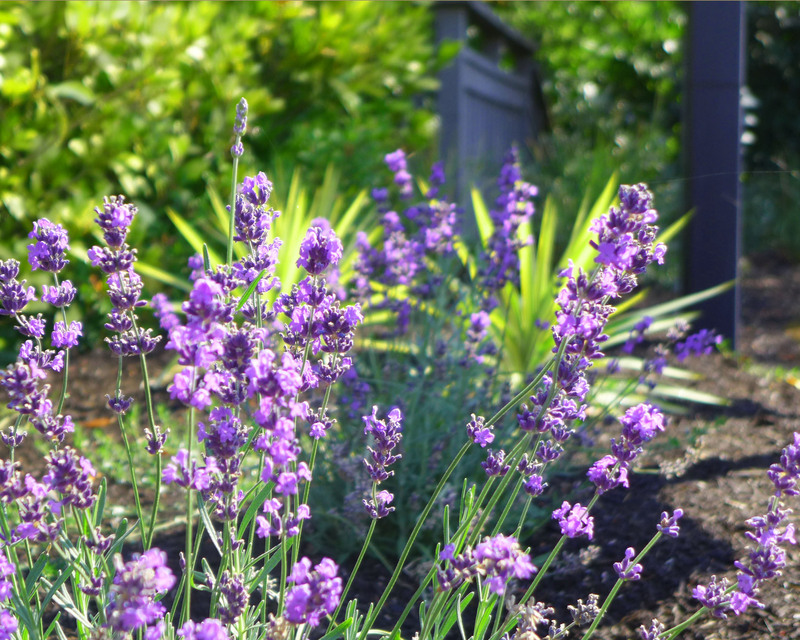 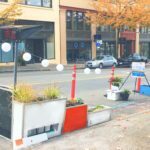 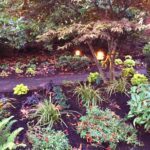 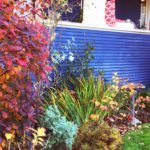 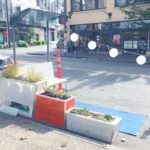 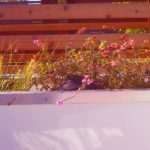 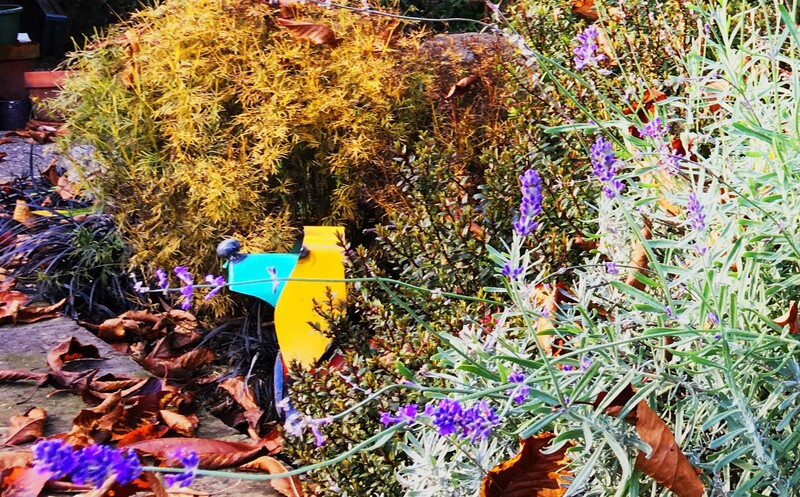 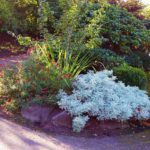 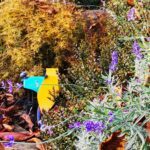 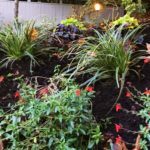 Plantings were edited to remove overgrown or dying large shrubs, and make space for a more interesting and colorful color palette. 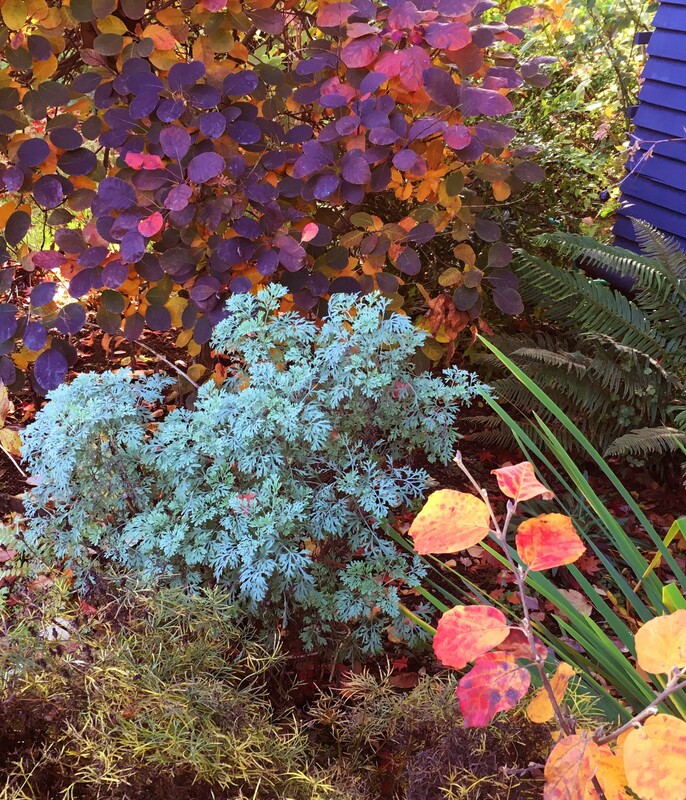 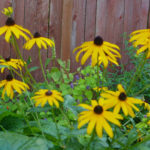 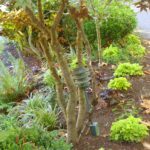 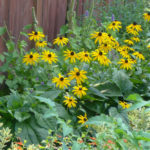 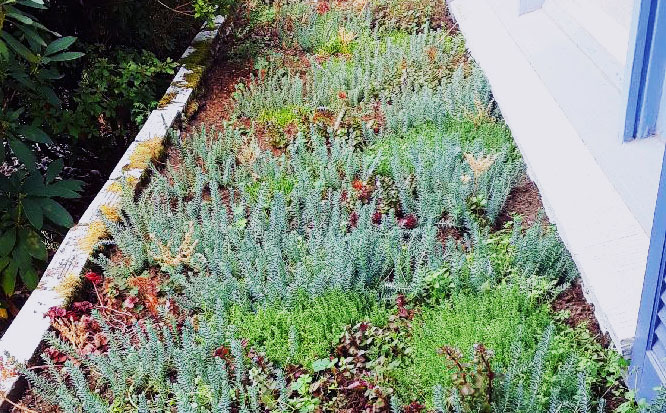 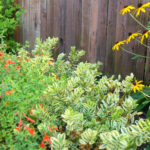 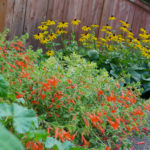 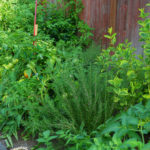 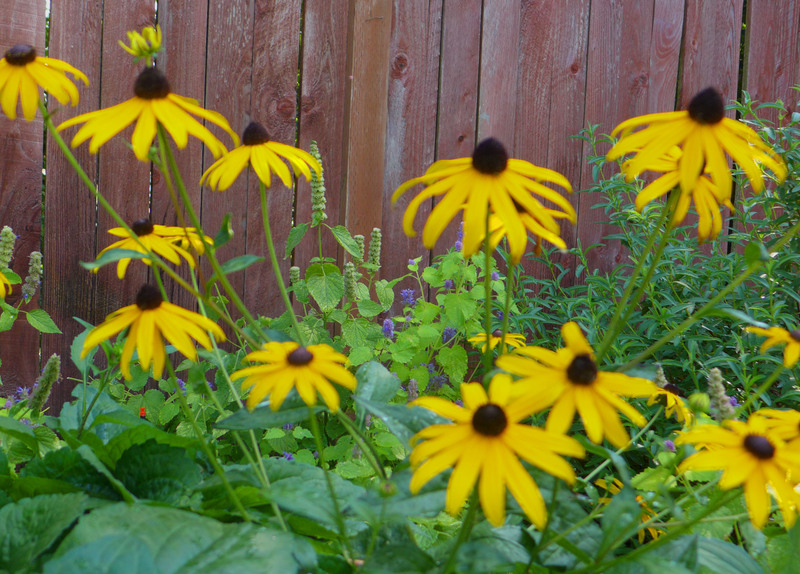 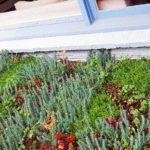 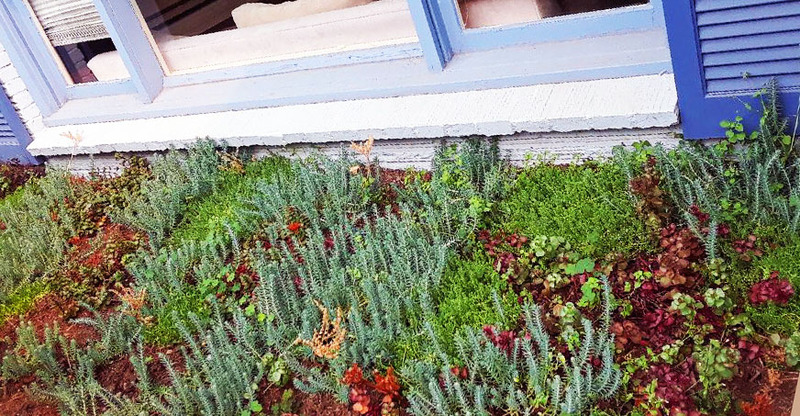 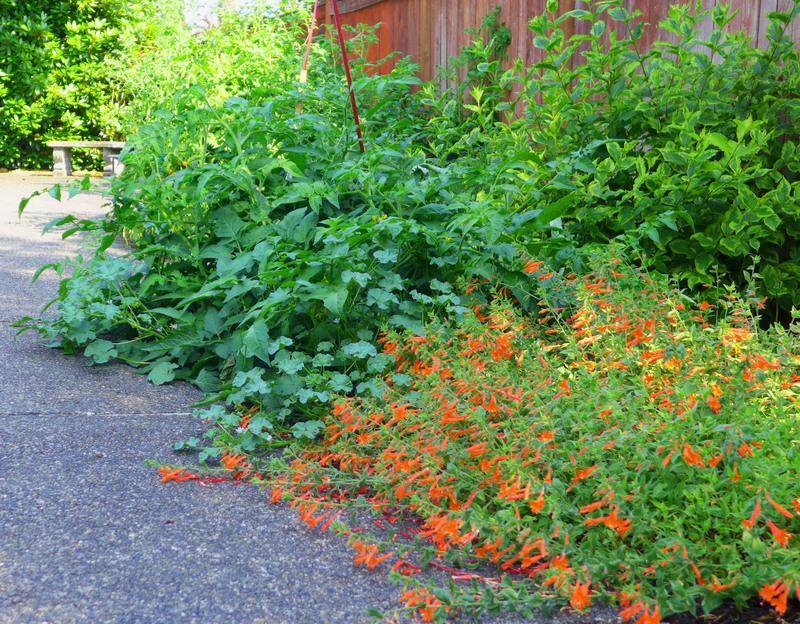 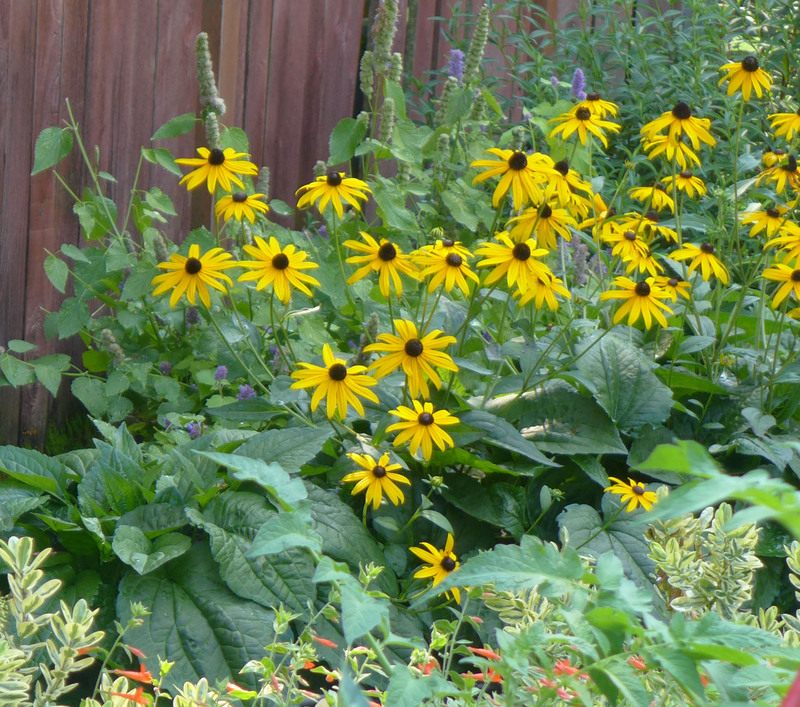 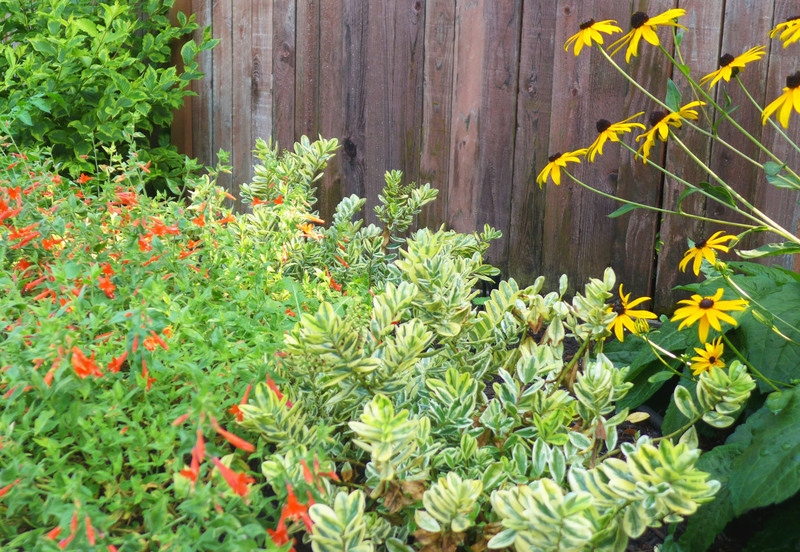 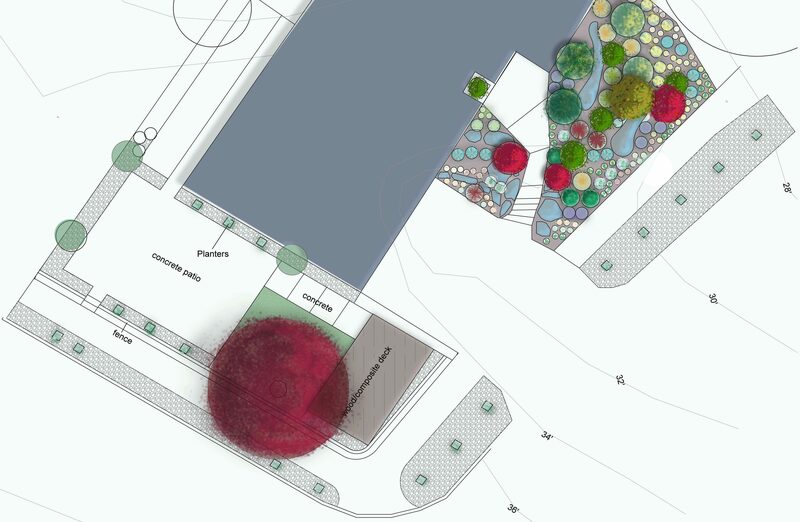 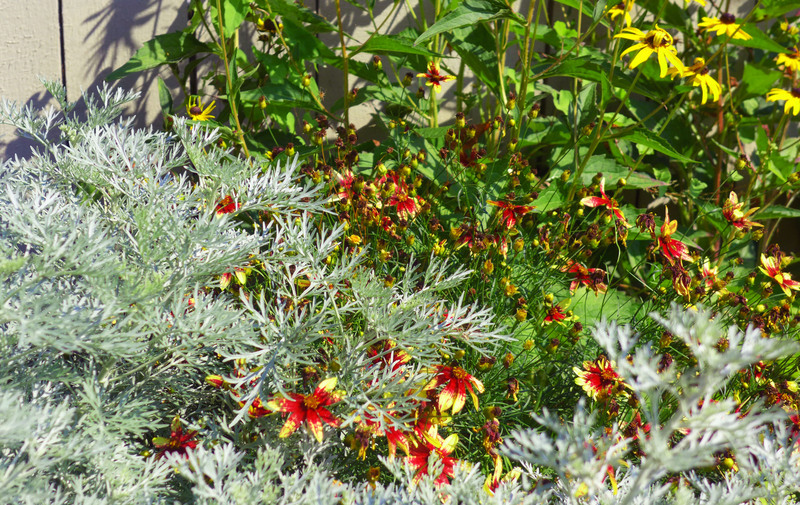 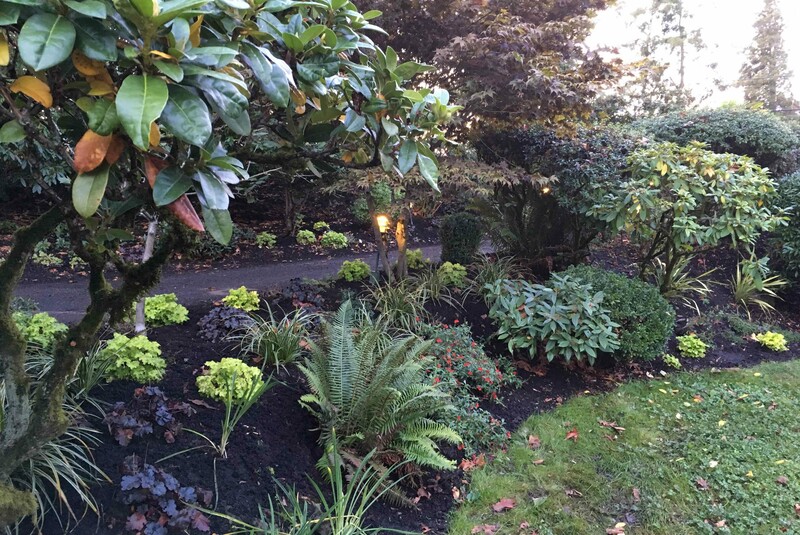 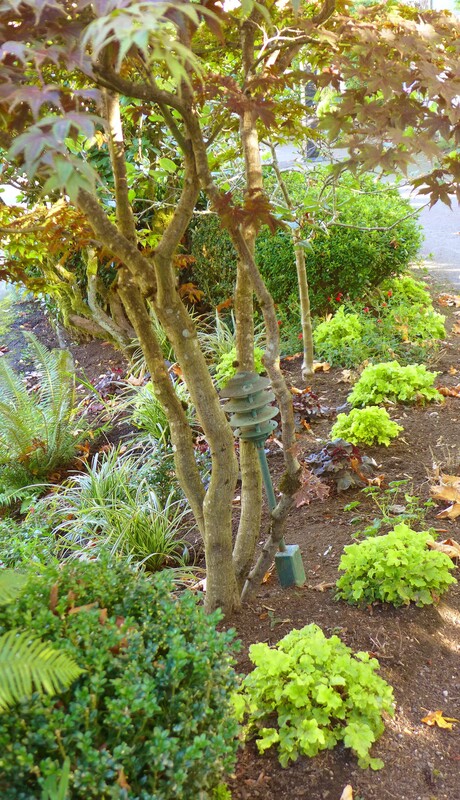 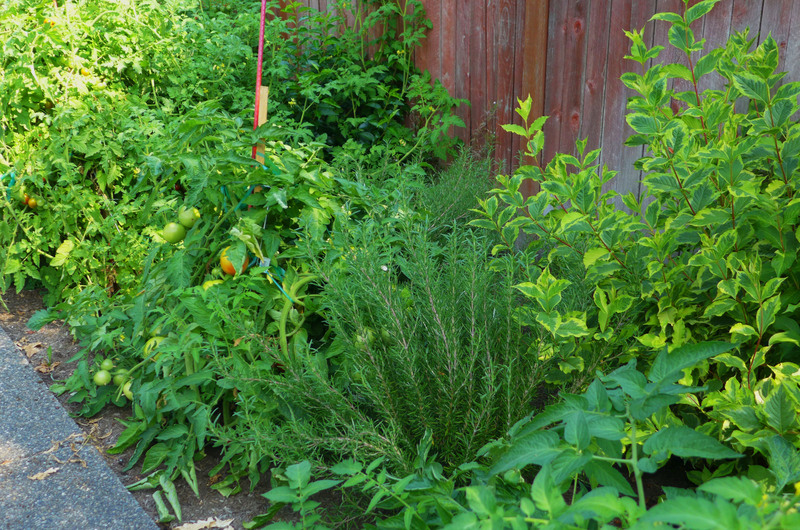 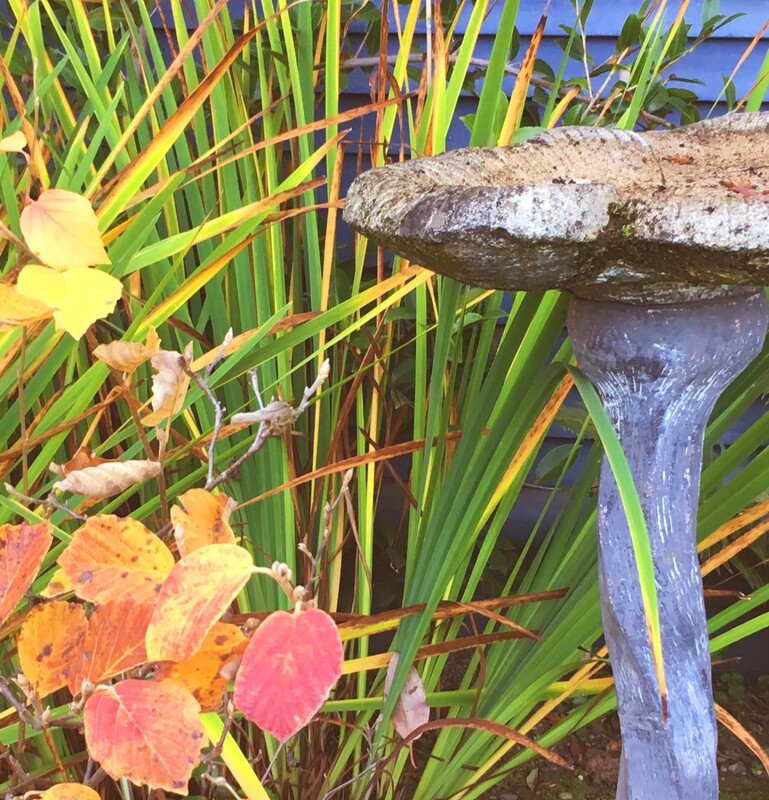 An under-story of small shrubs and perennials was added to add layers and texture. 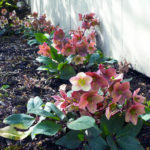 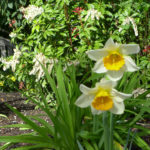 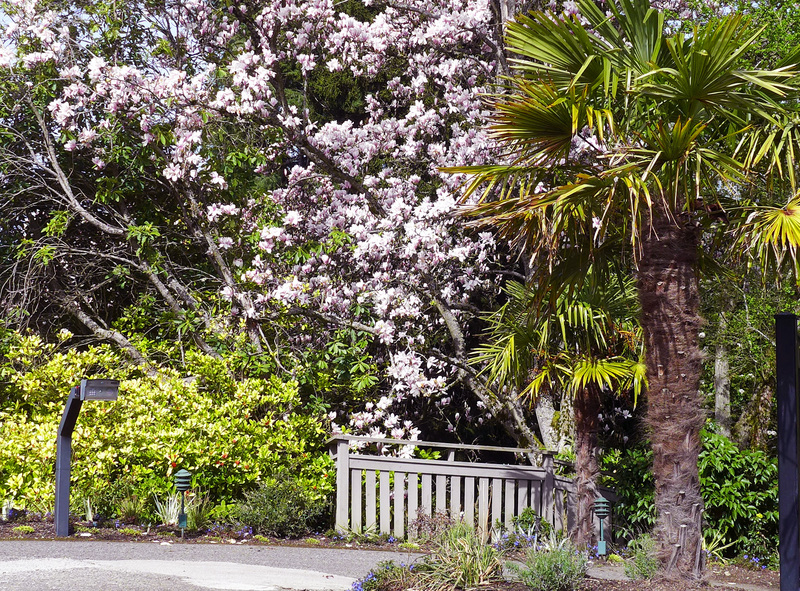 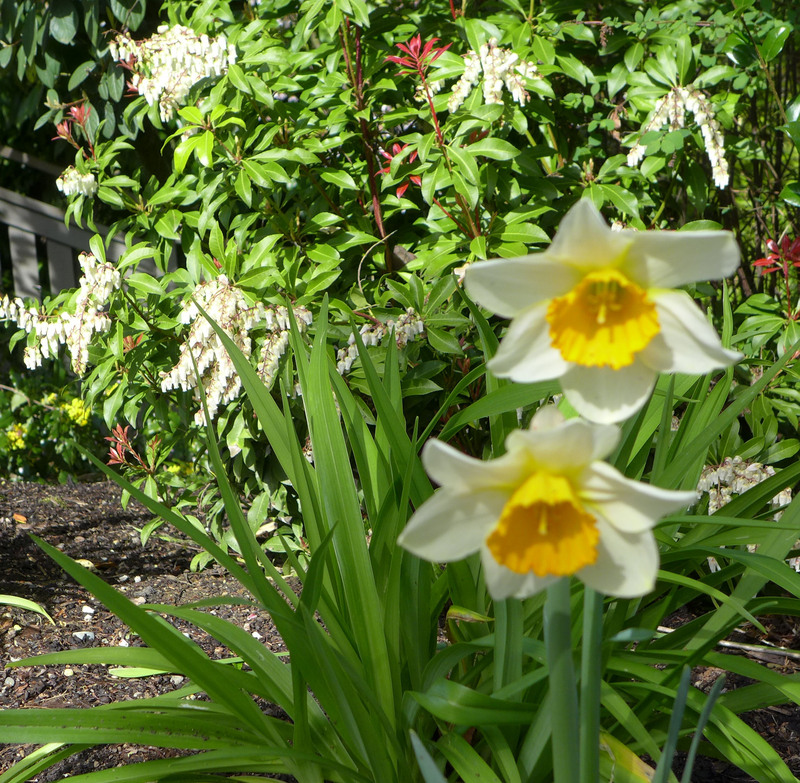 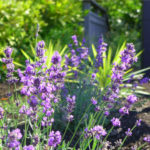 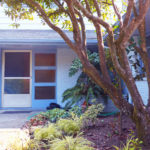 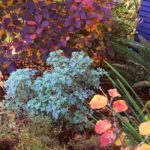 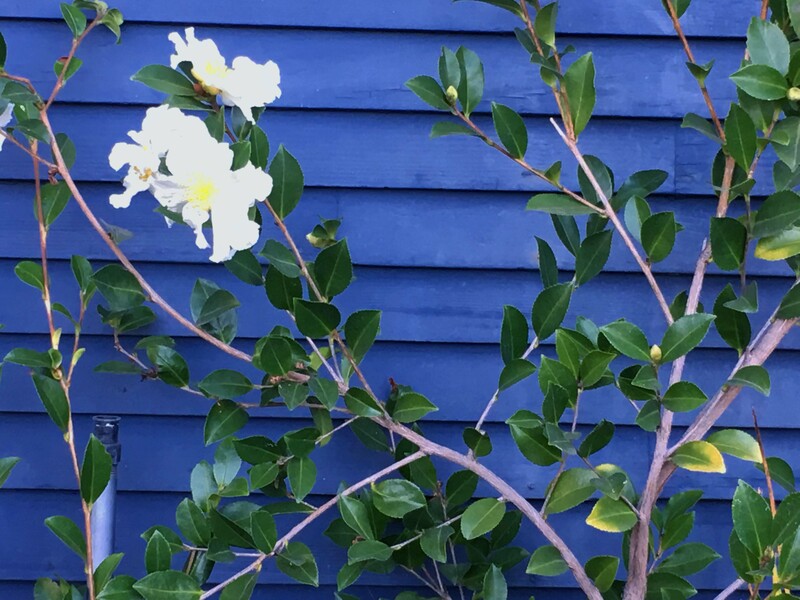 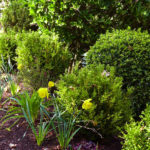 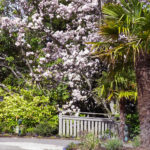 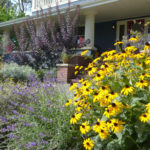 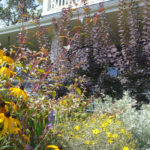 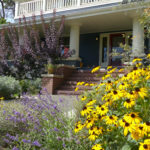 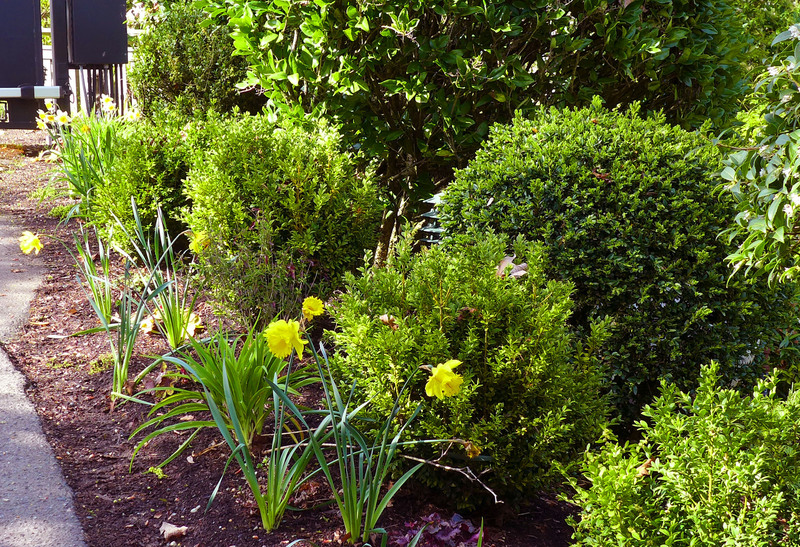 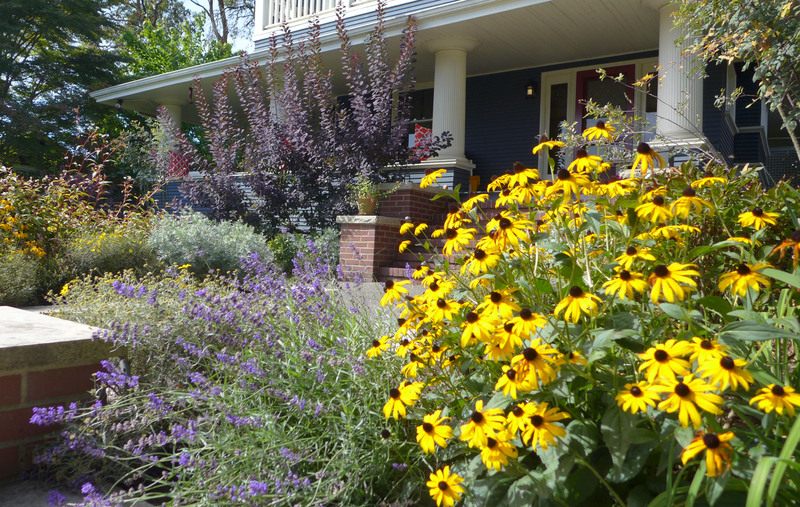 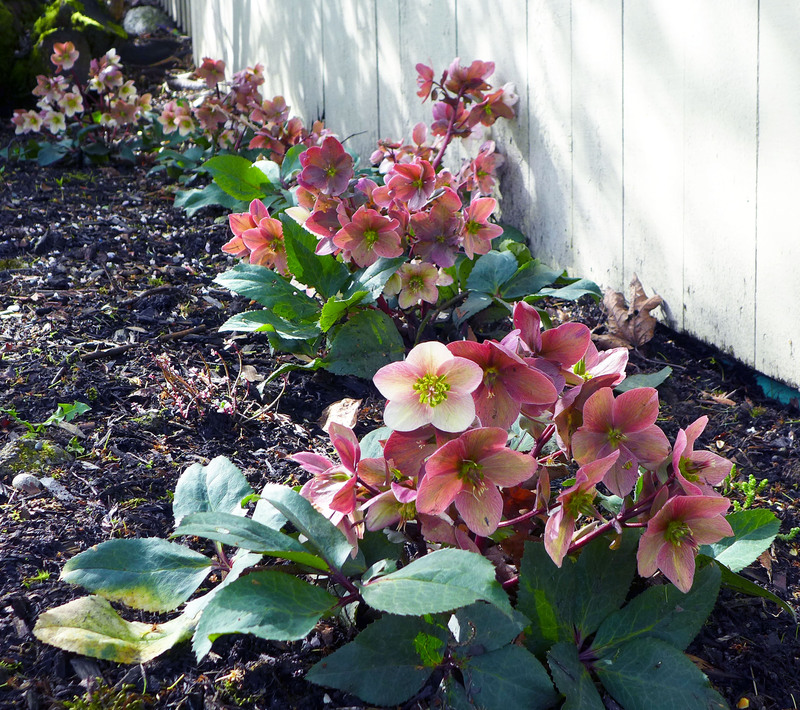 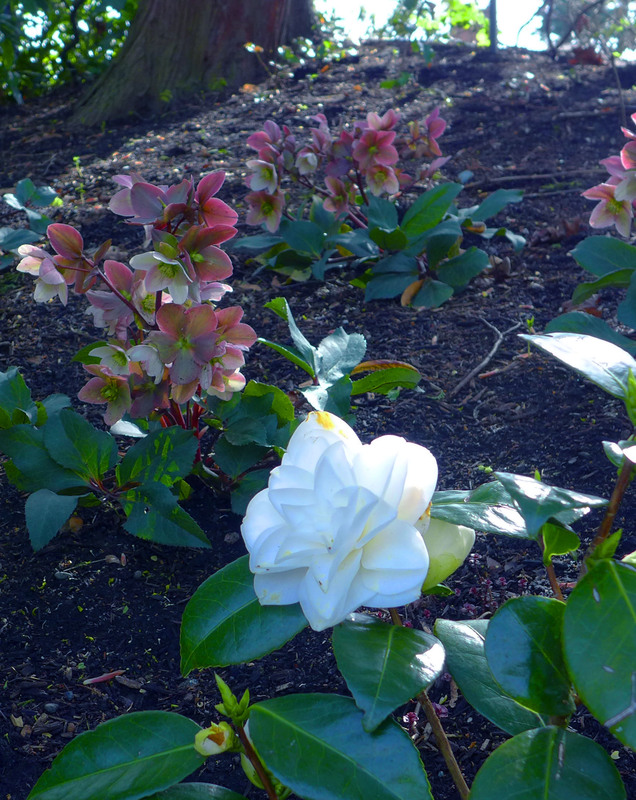 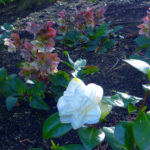 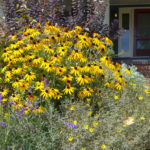 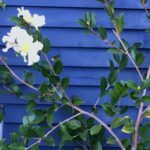 Large flowering shrubs and small trees add architectural interest and spring color. . 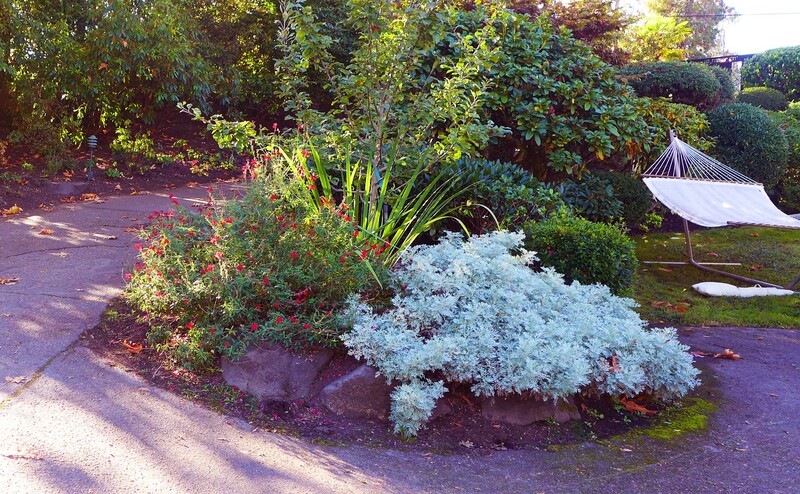 This mature landscape needed some layering and some color in addition to some editing. 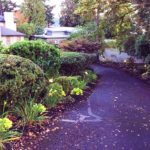 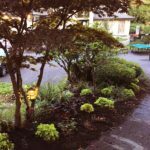 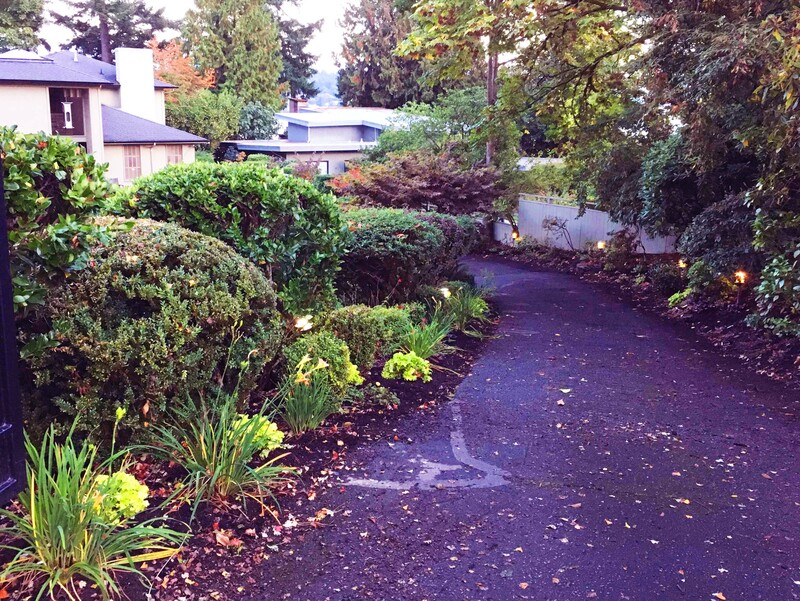 Some large overgrown shrubs were removed and the owner wanted plantings that would bring a relaxed lushness to the front yard. 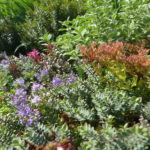 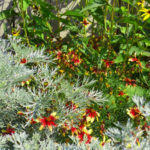 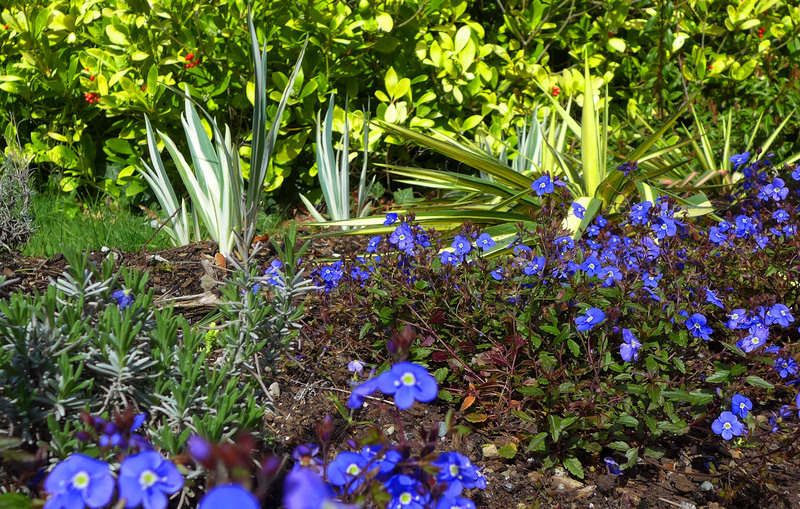 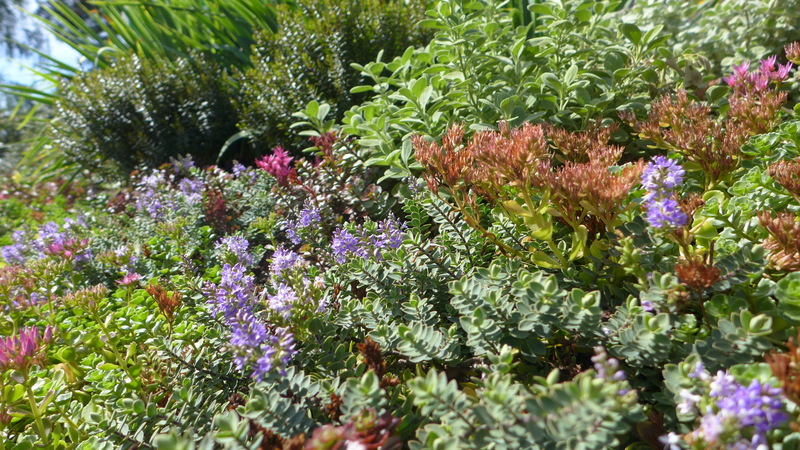 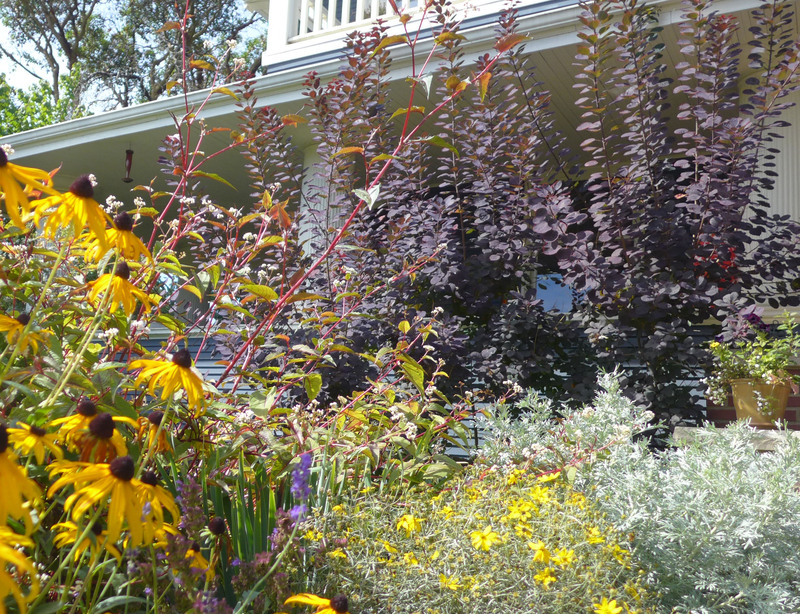 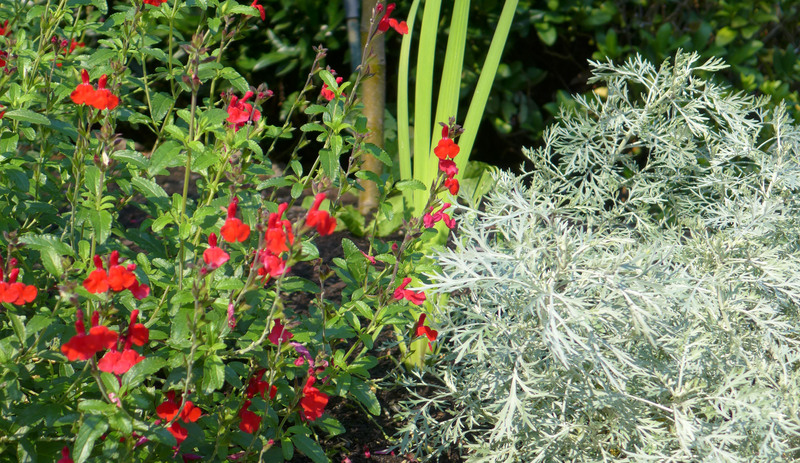 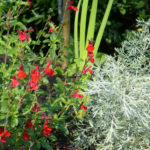 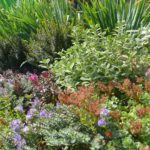 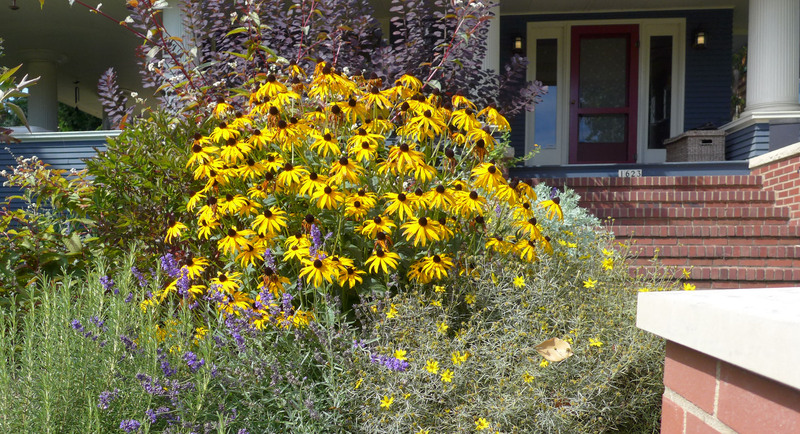 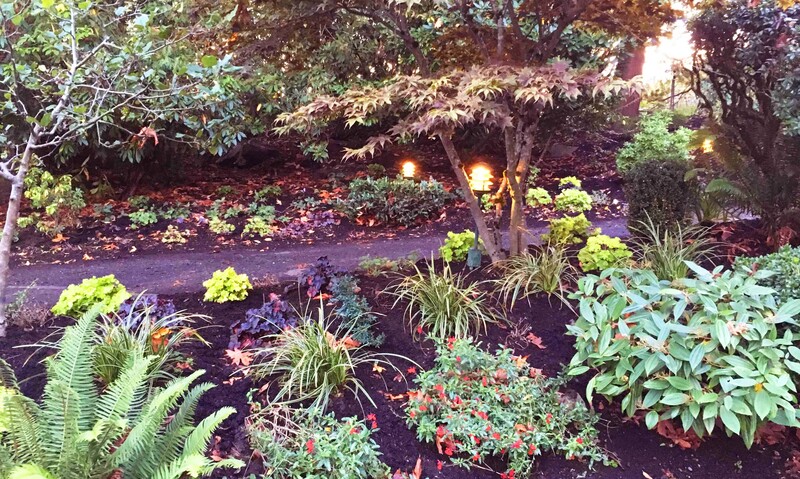 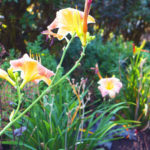 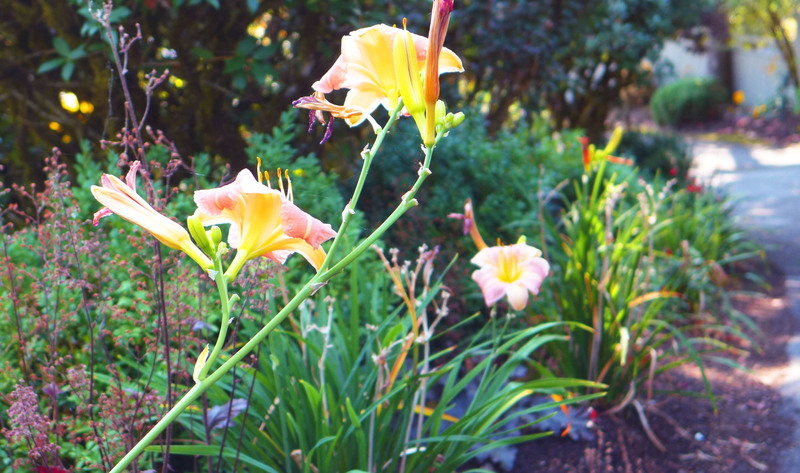 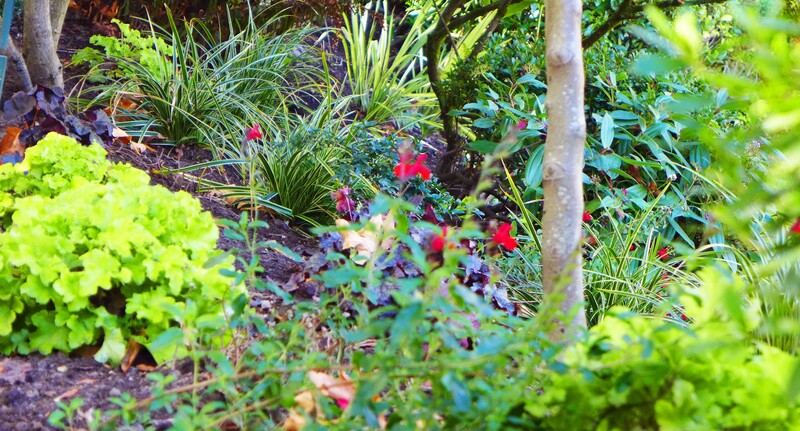 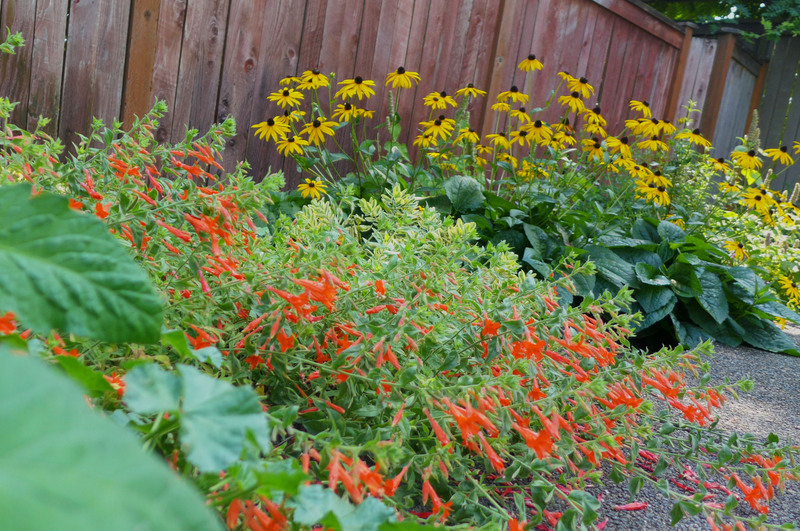 New plantings emphasized year round color, layers and a larger variety of textures. 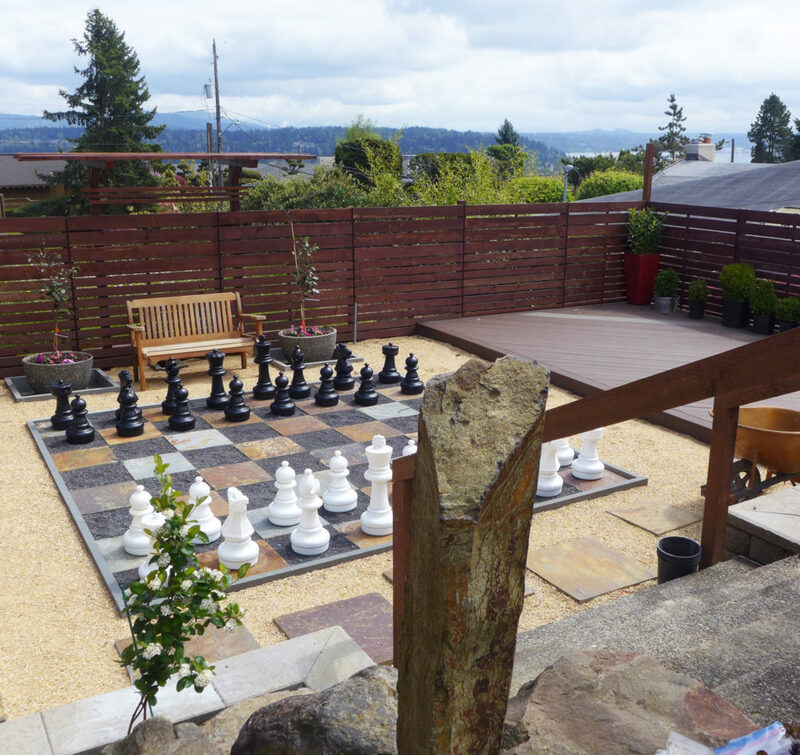 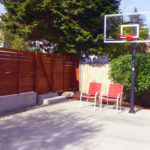 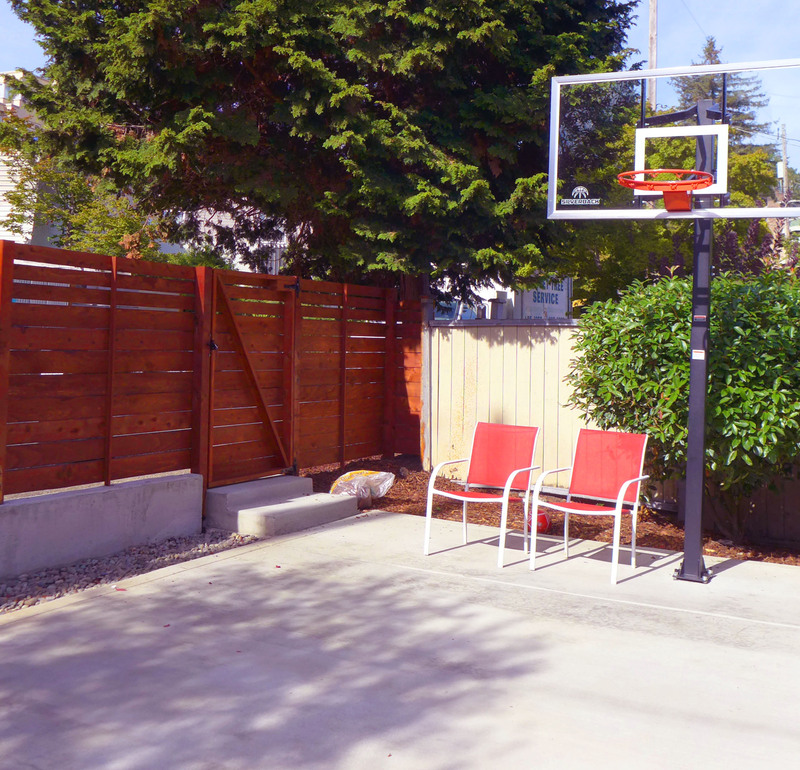 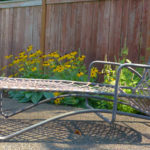 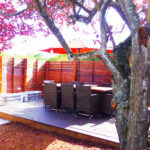 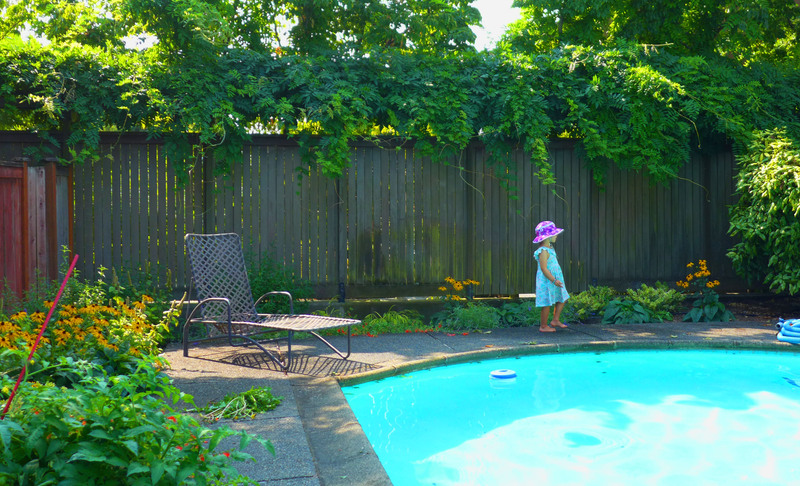 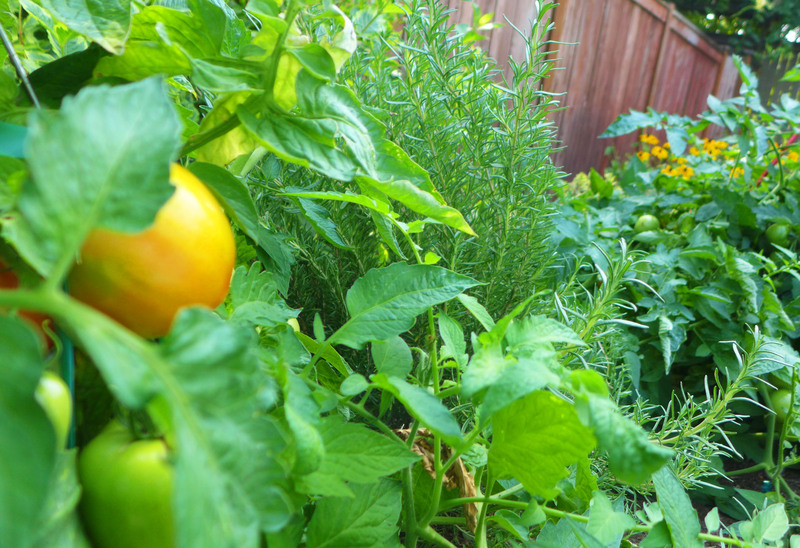 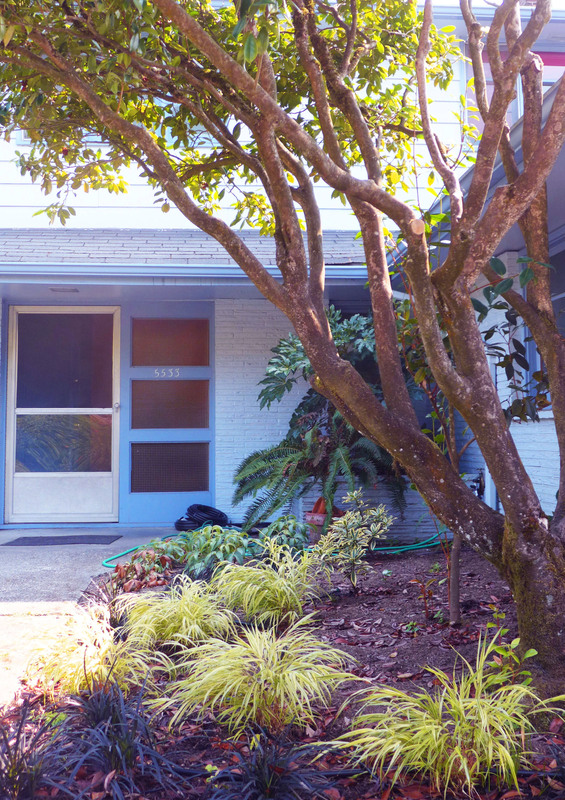 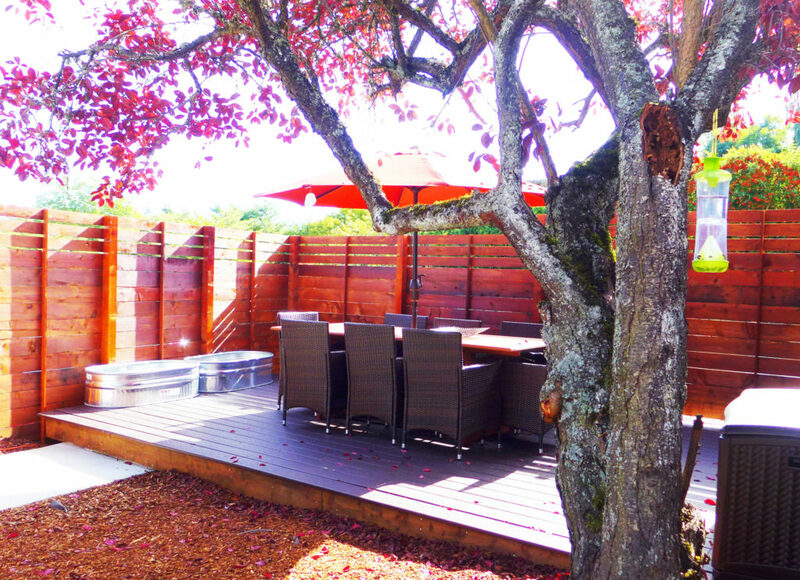 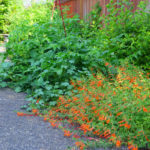 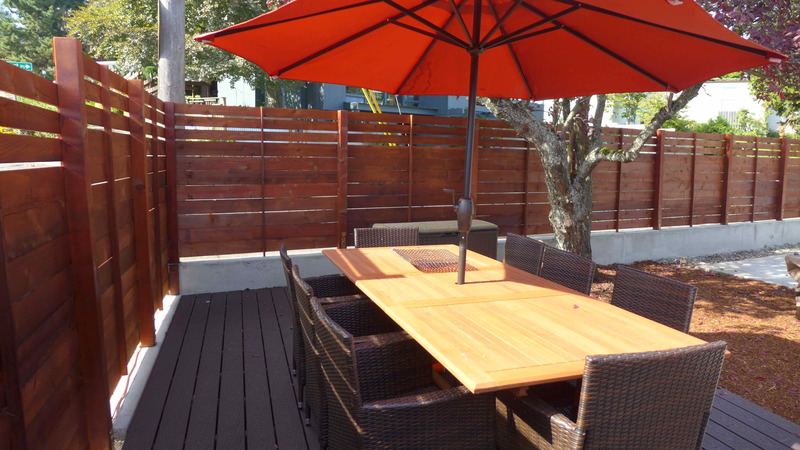 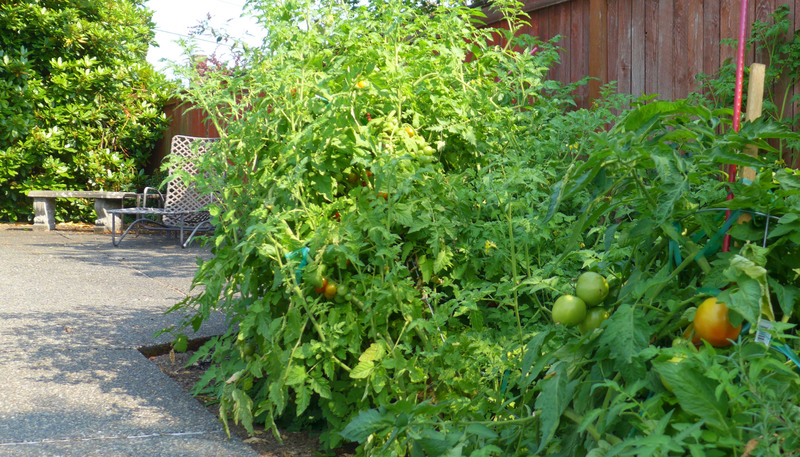 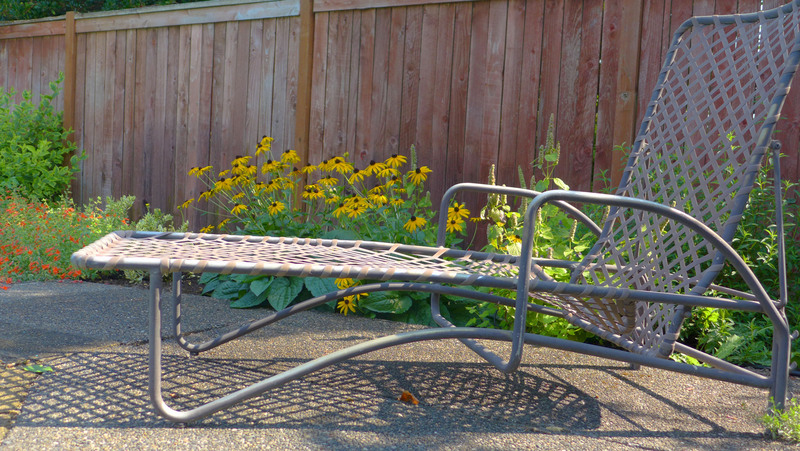 Overgrown and underused side yard transformed into a space for gathering, play and relaxation. 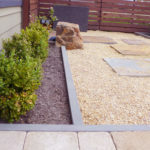 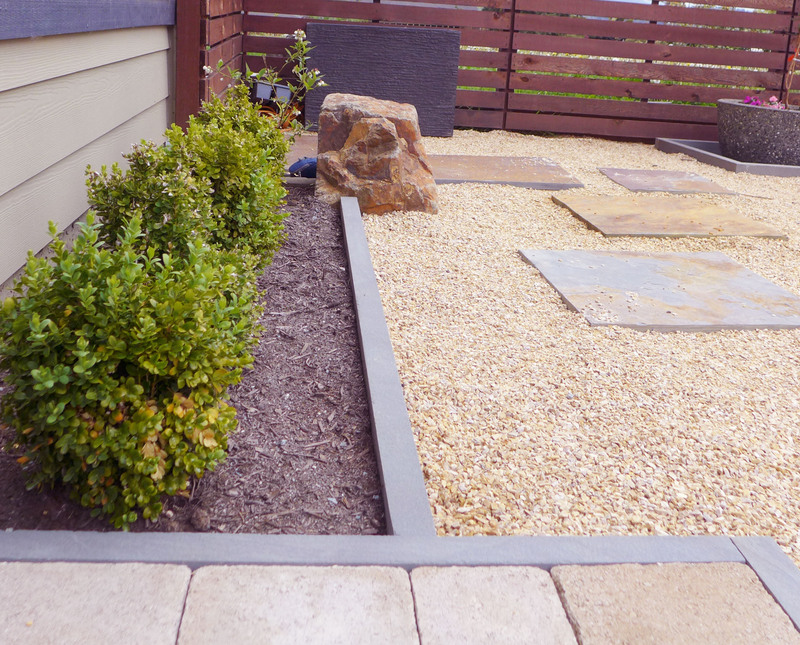 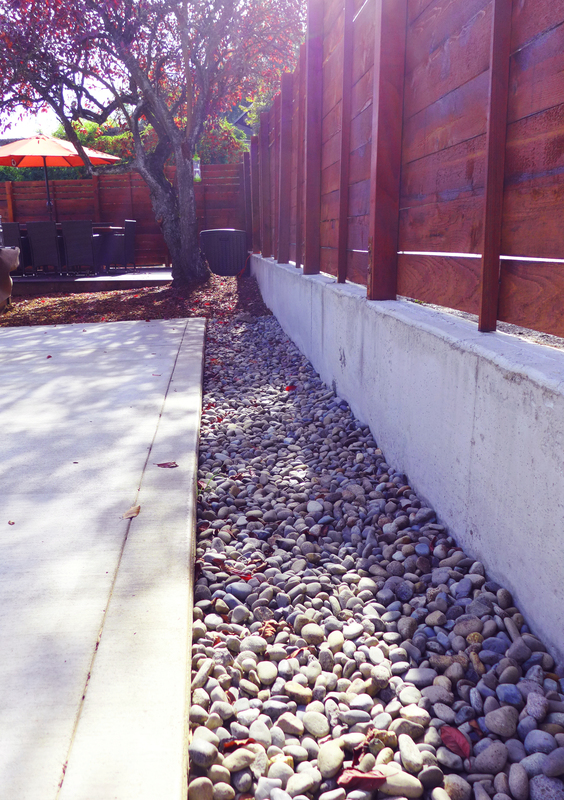 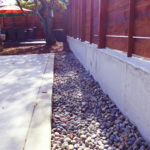 Concrete, wood and gravel make for a low maintenance space with clean lines and multiple uses.